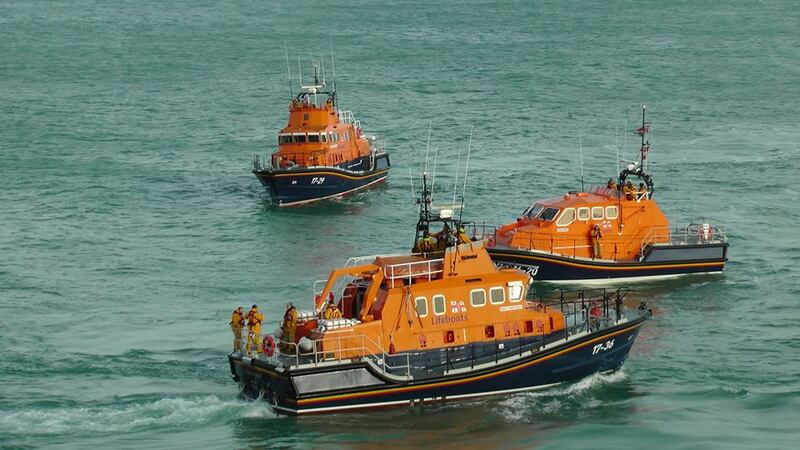 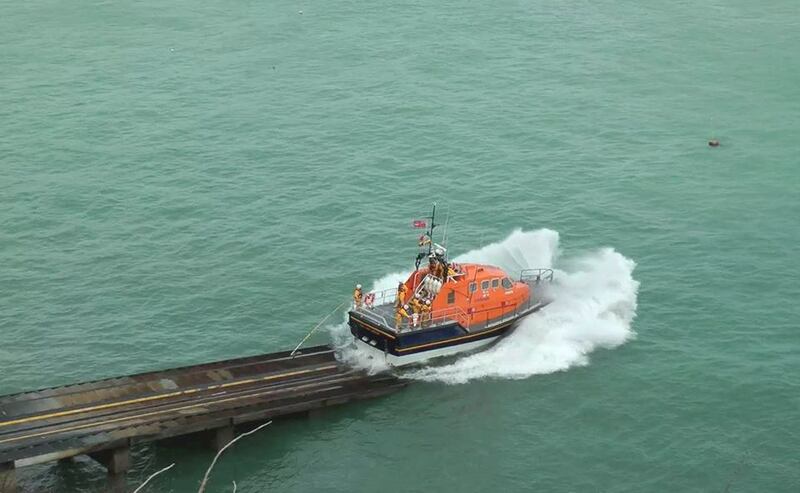 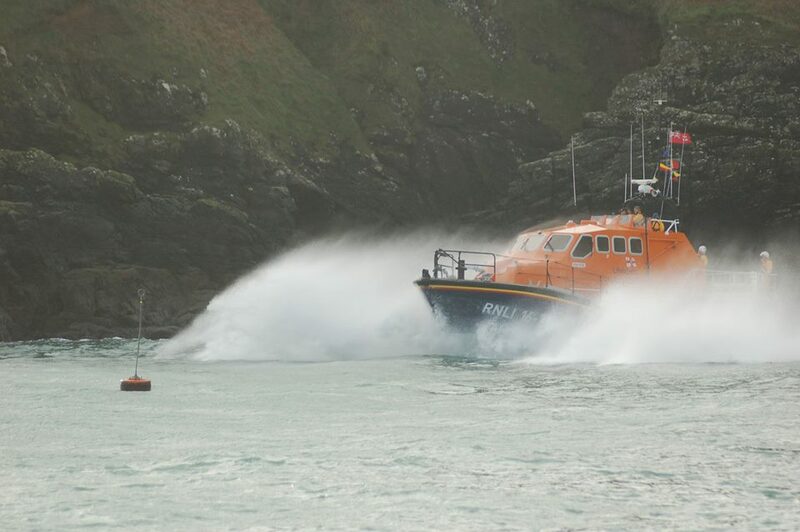 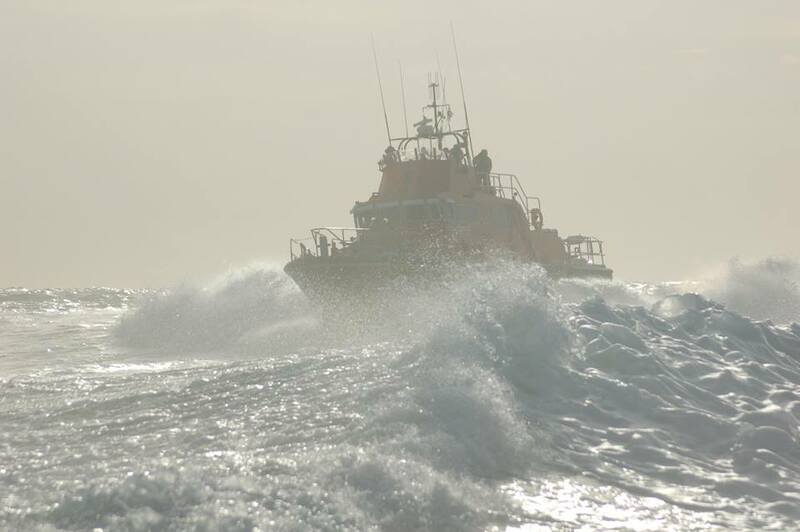 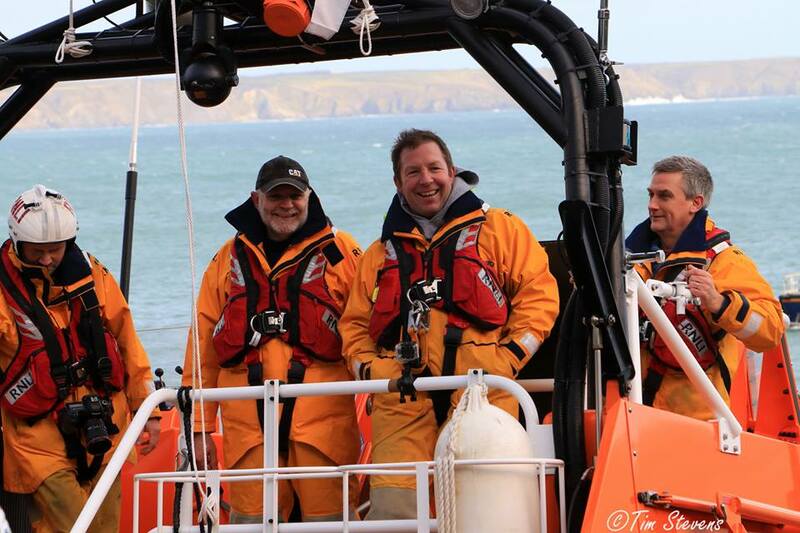 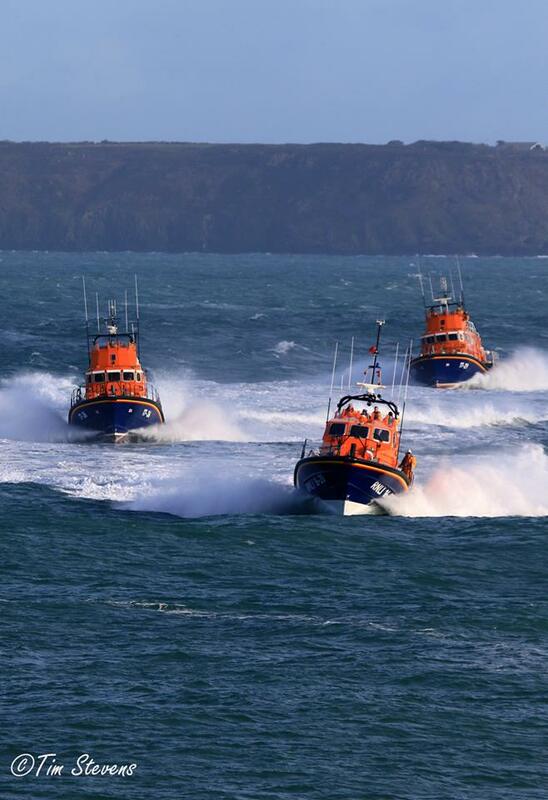 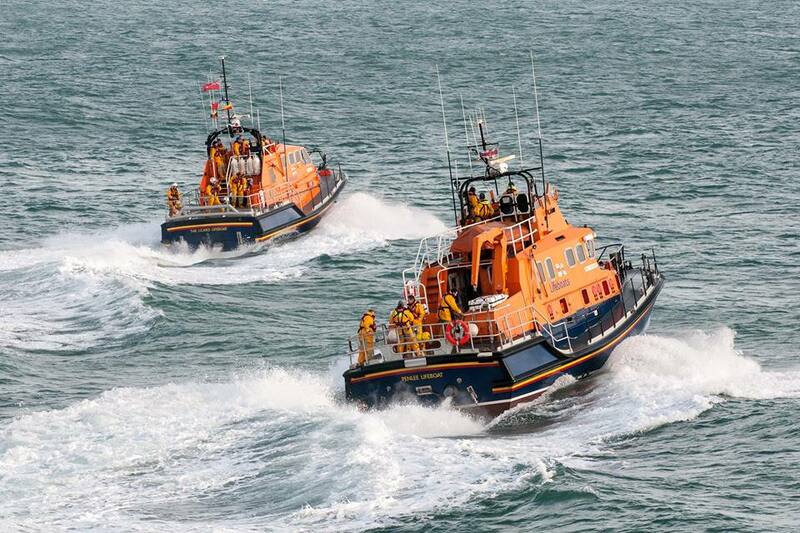 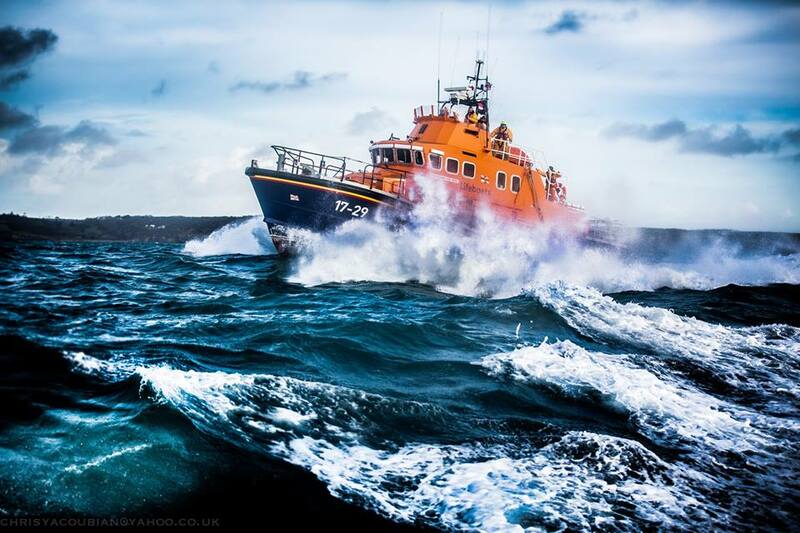 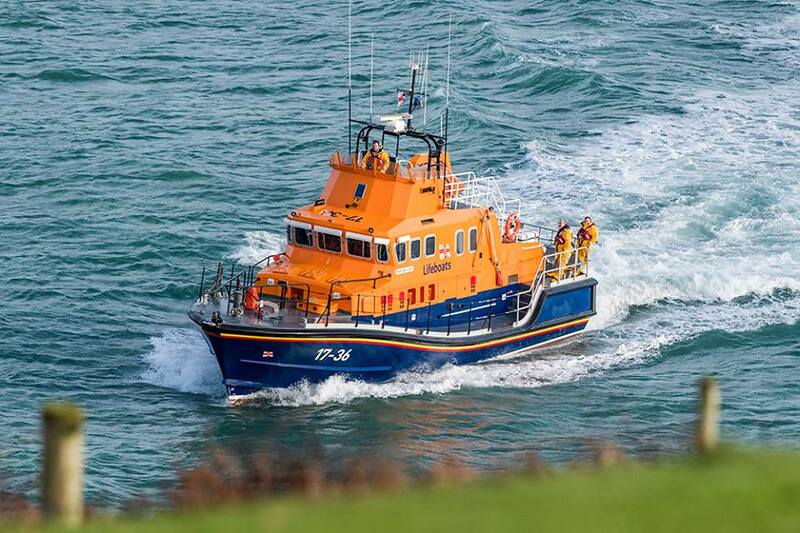 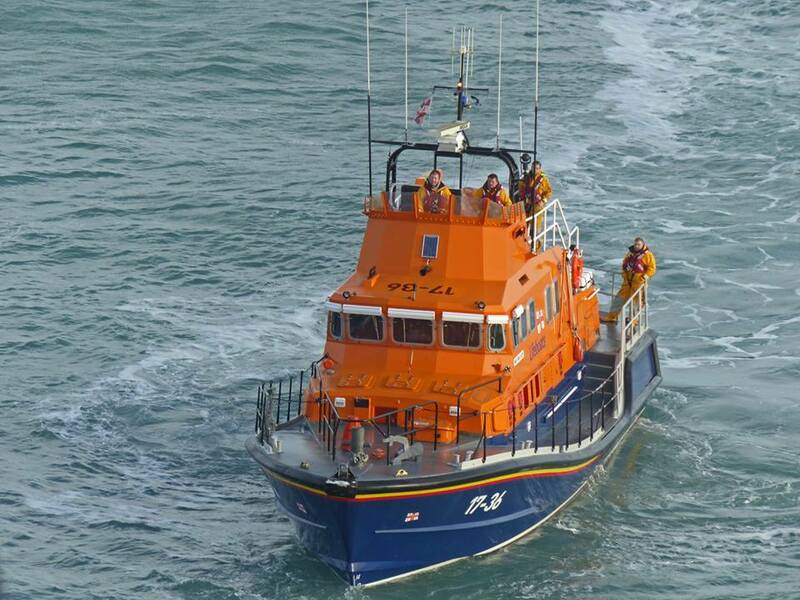 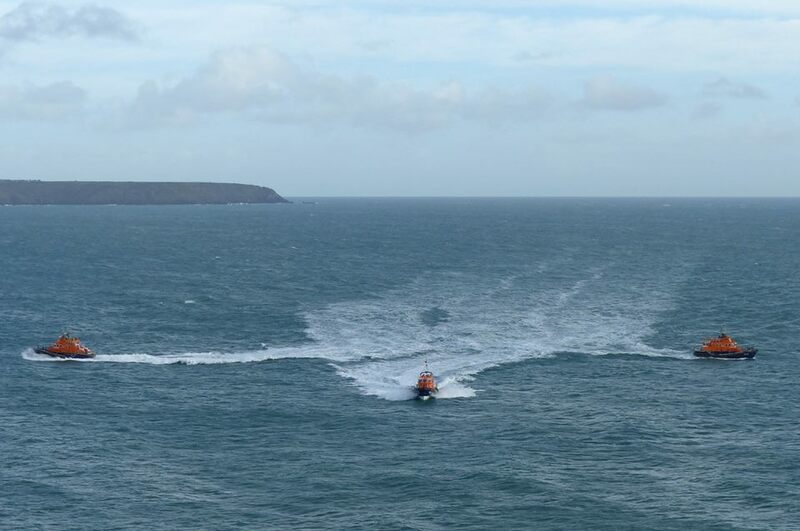 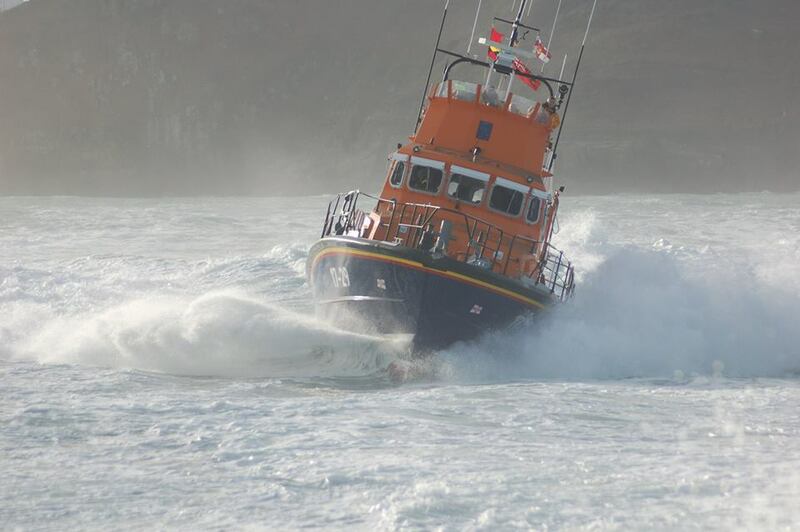 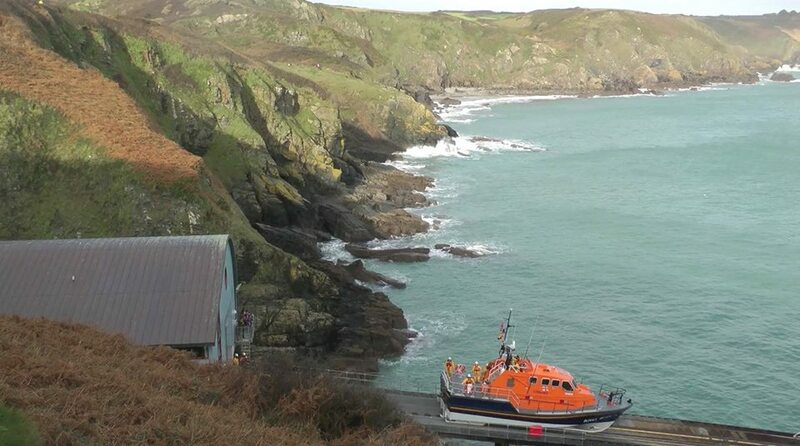 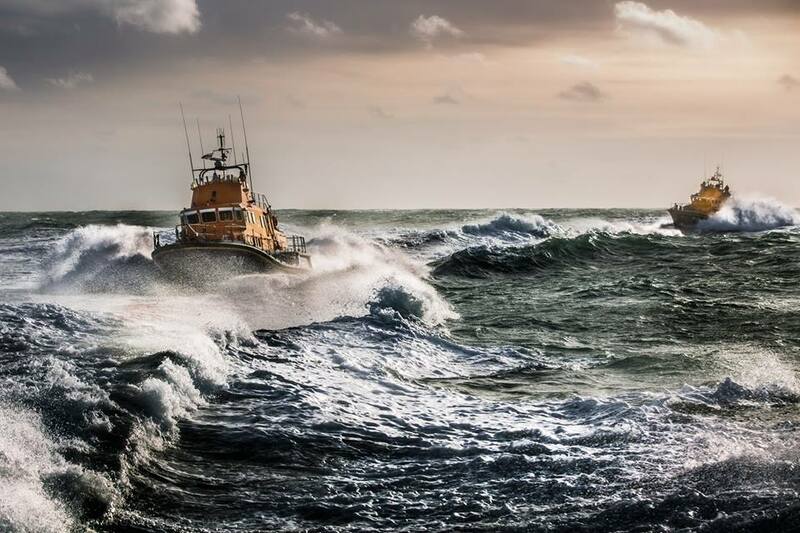 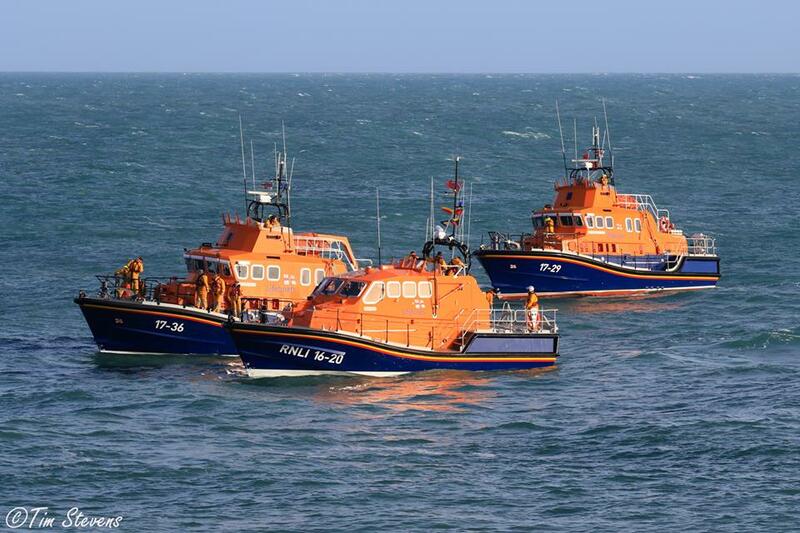 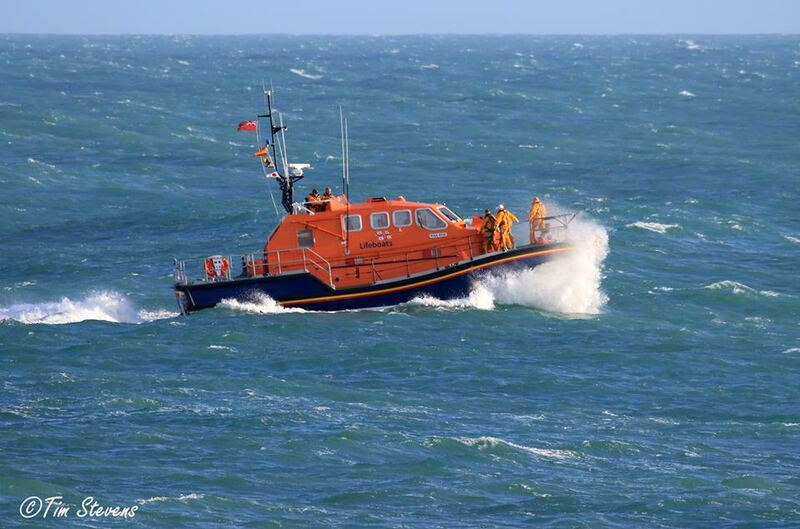 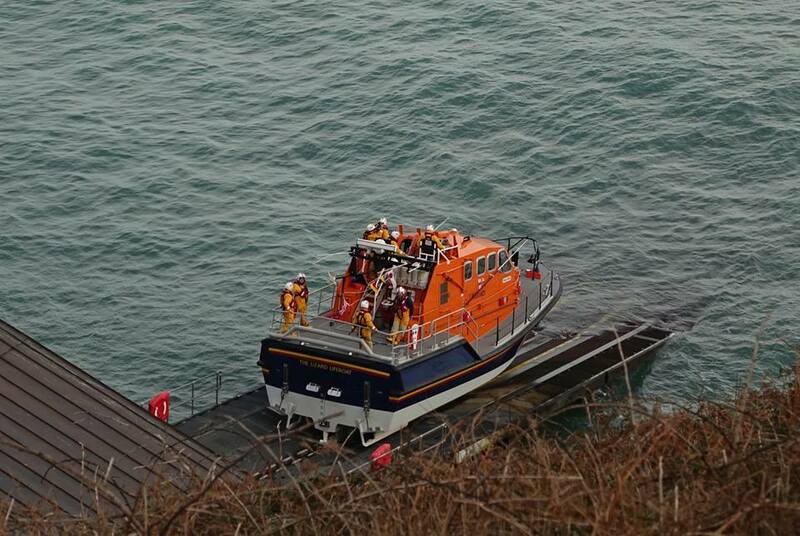 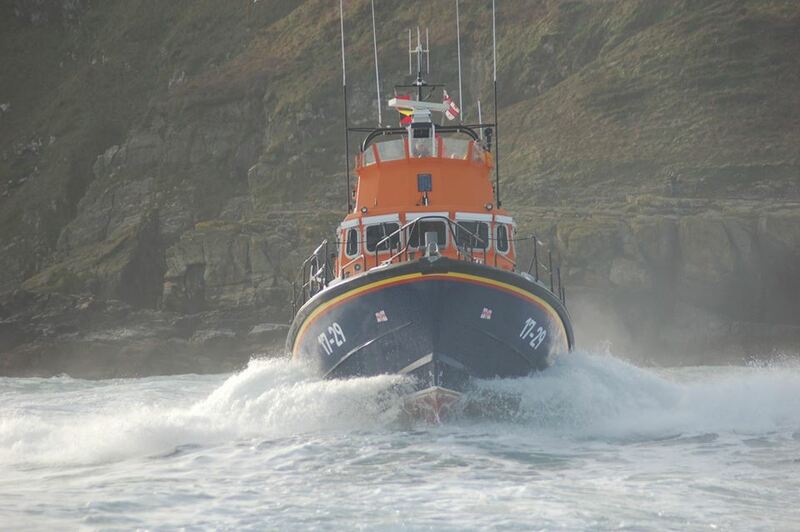 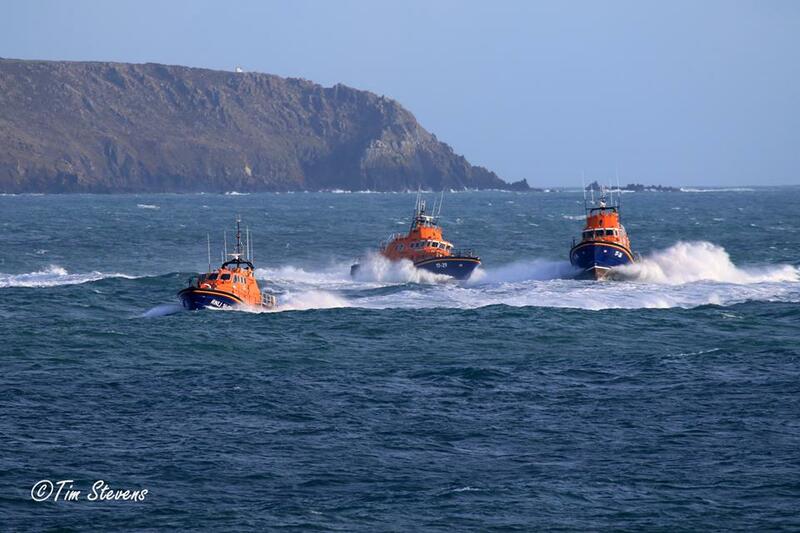 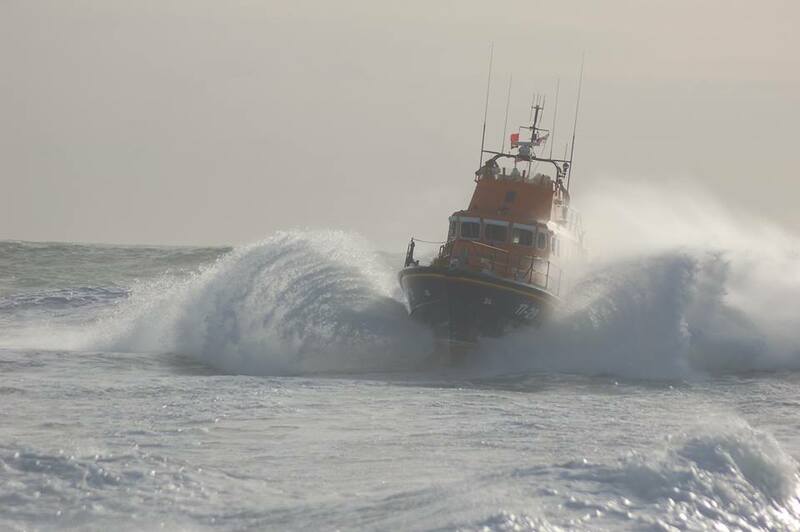 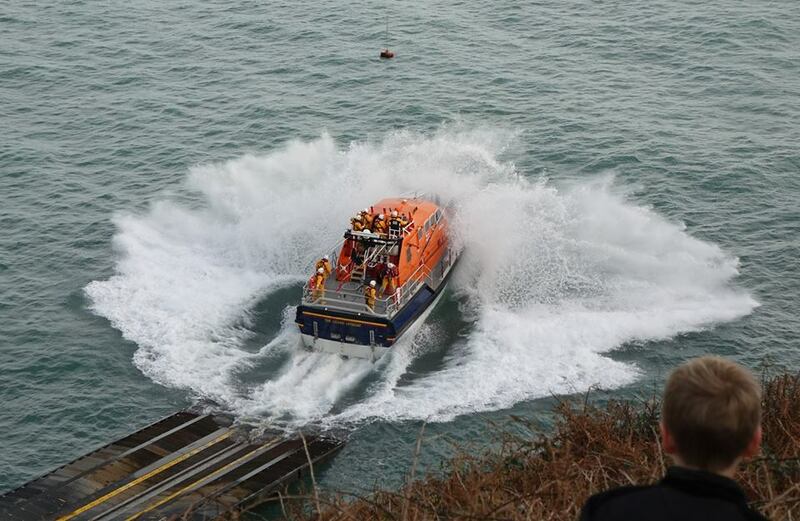 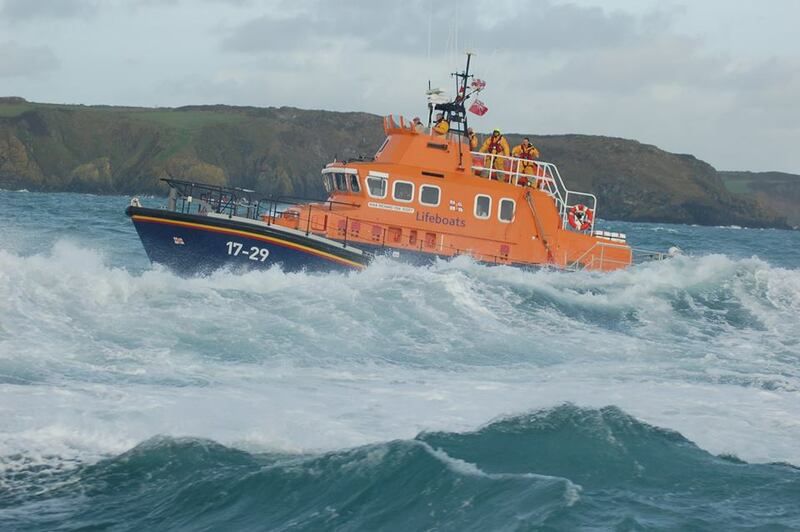 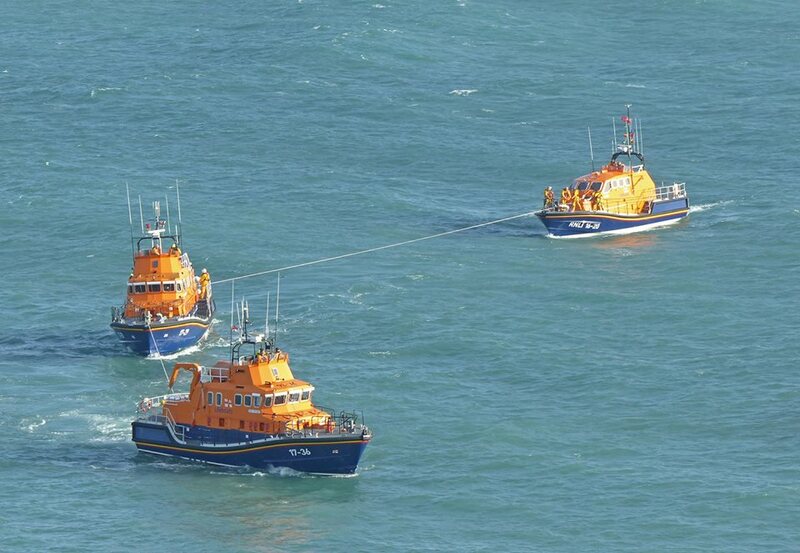 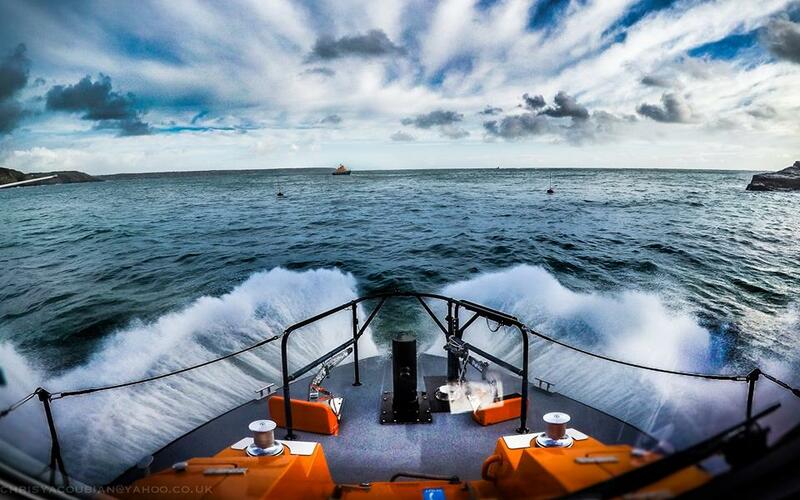 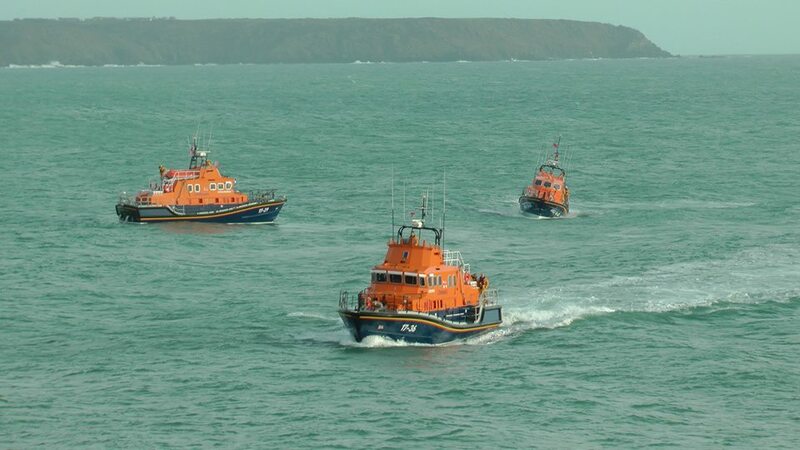 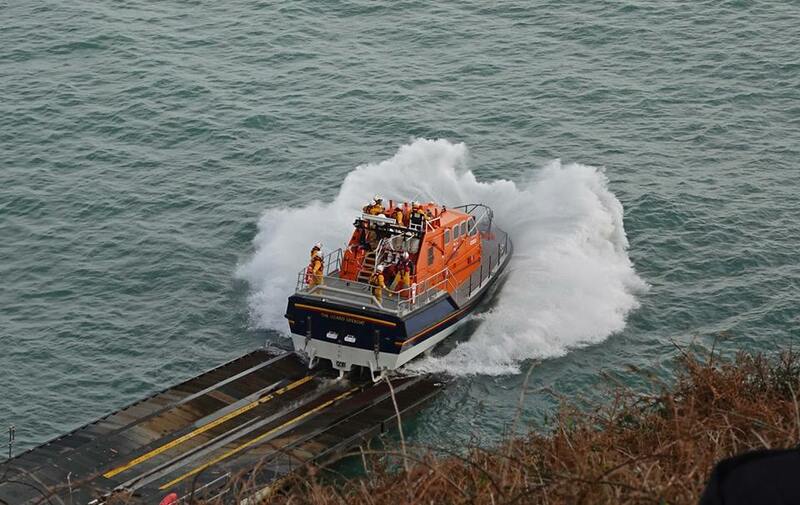 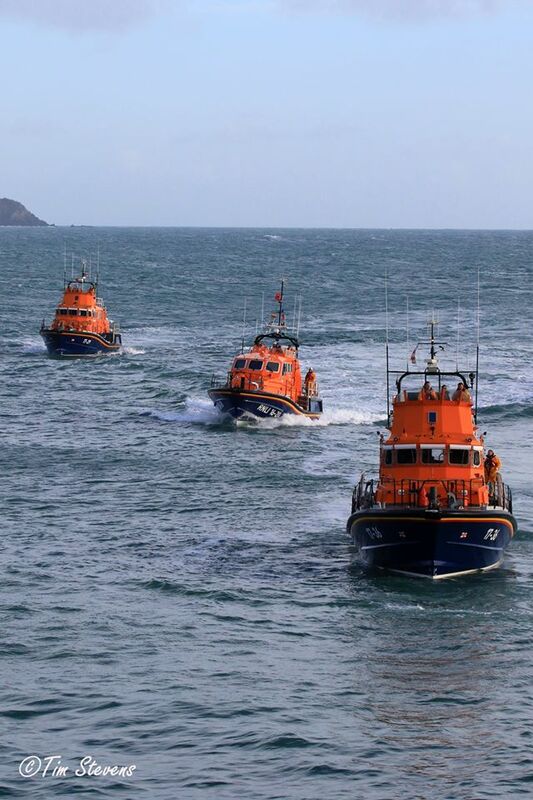 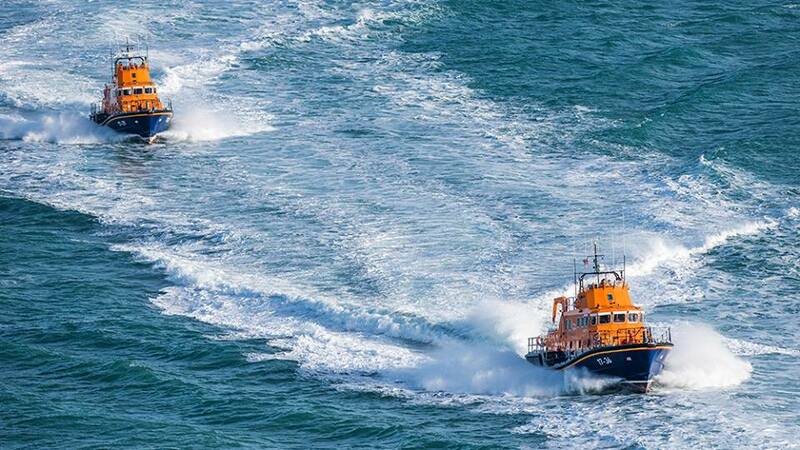 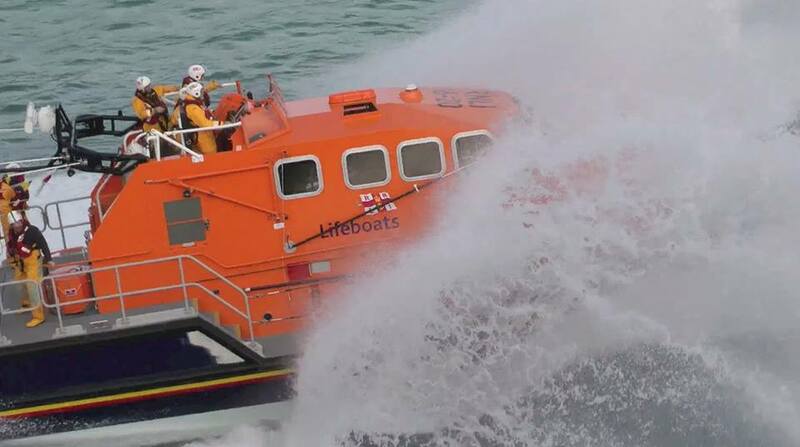 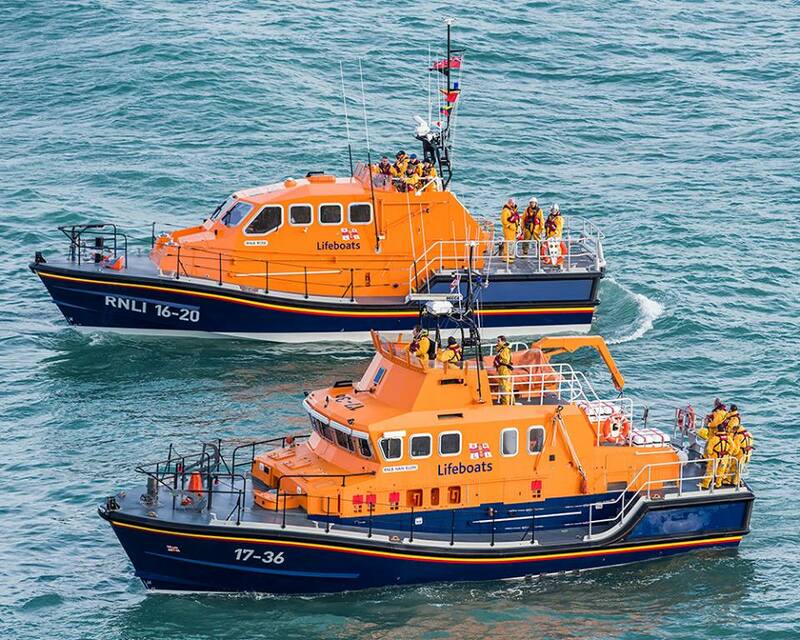 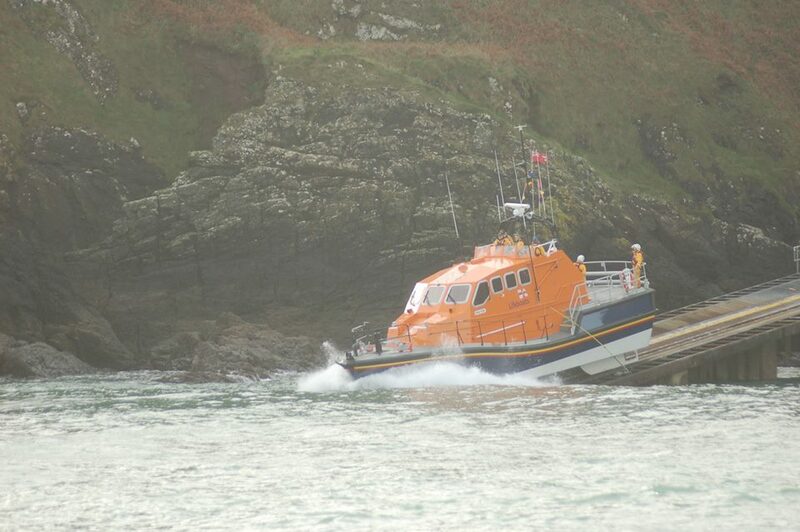 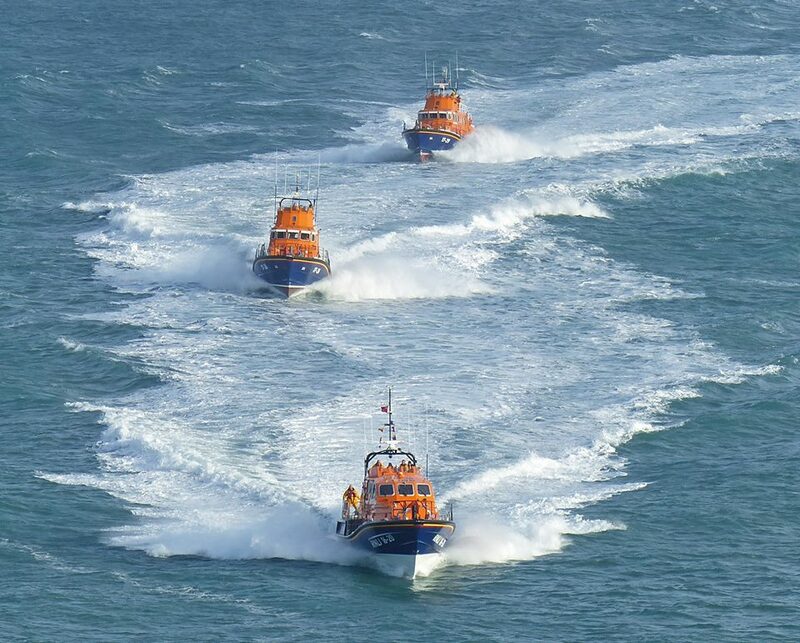 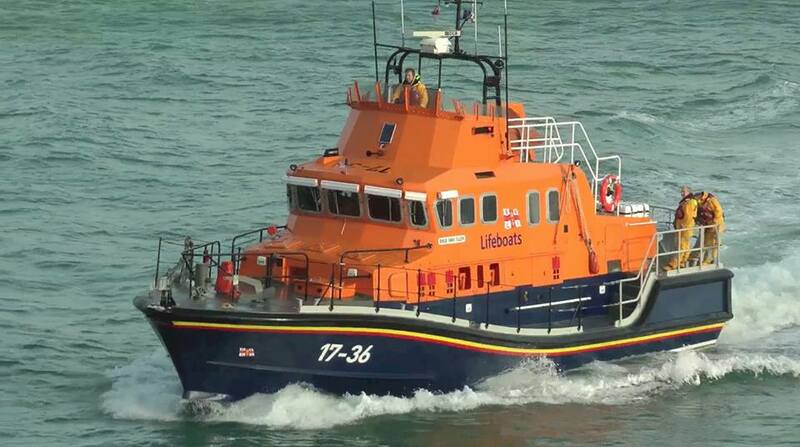 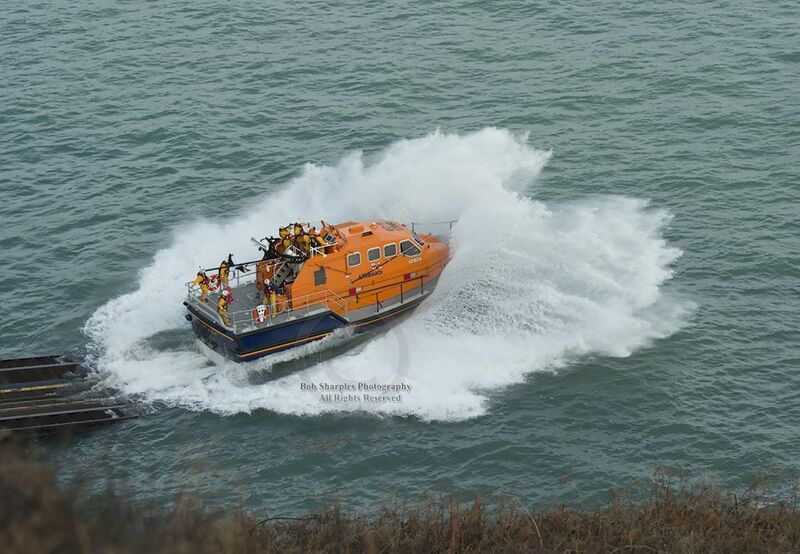 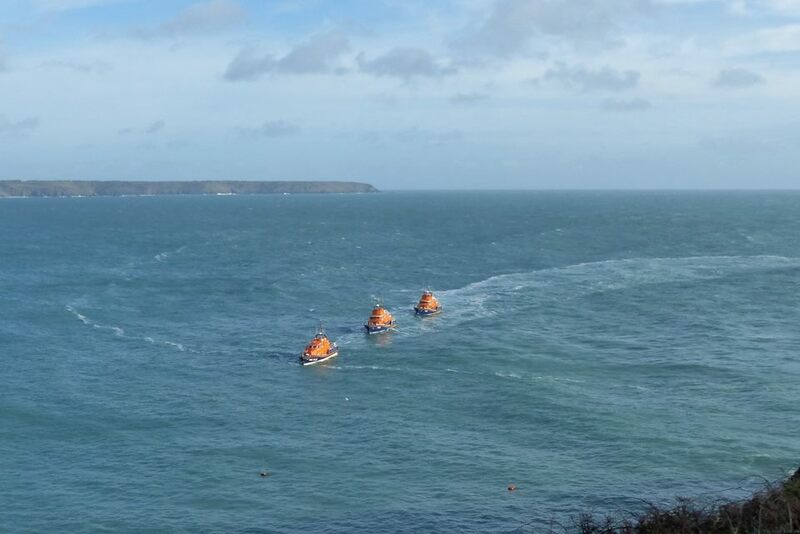 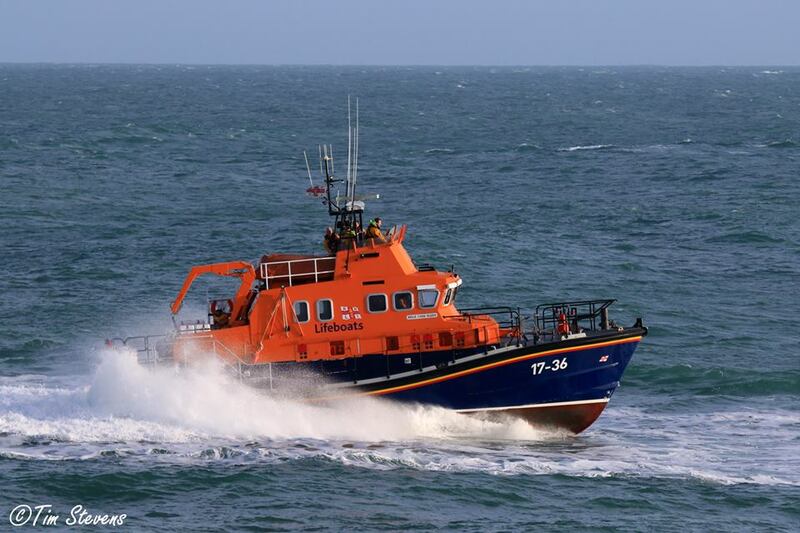 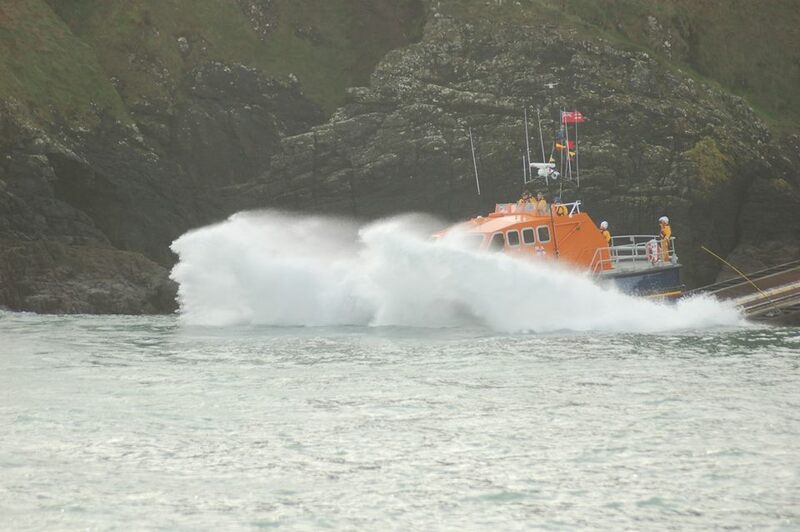 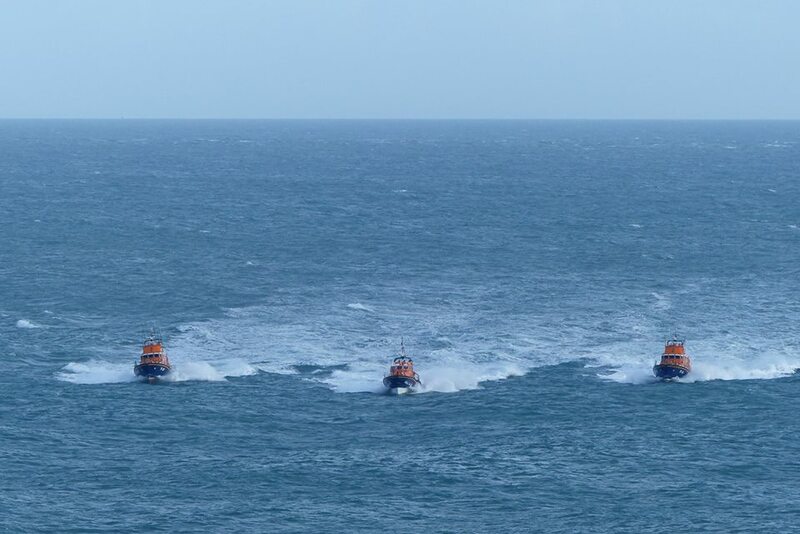 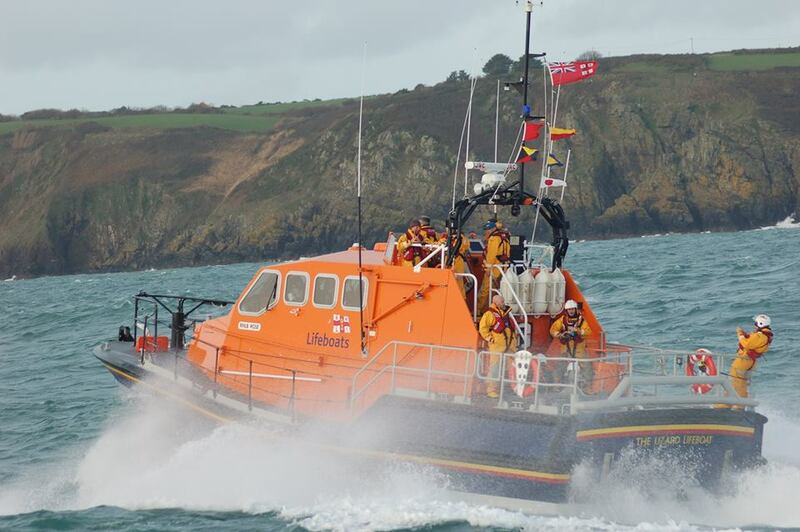 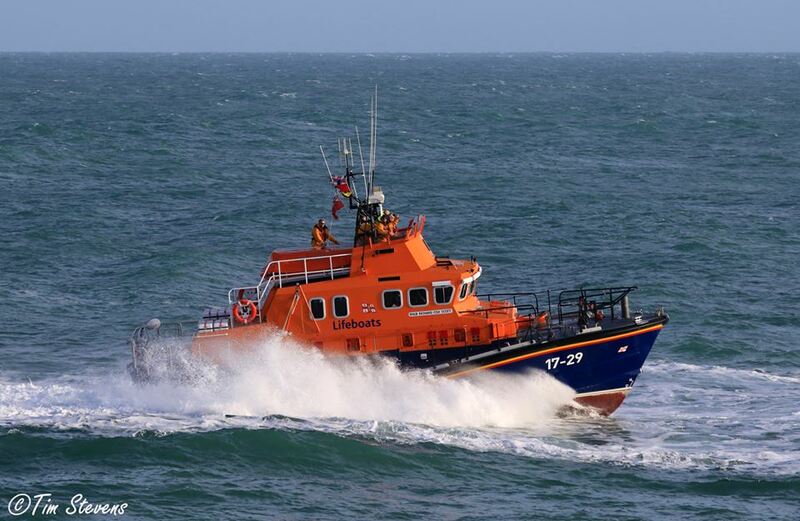 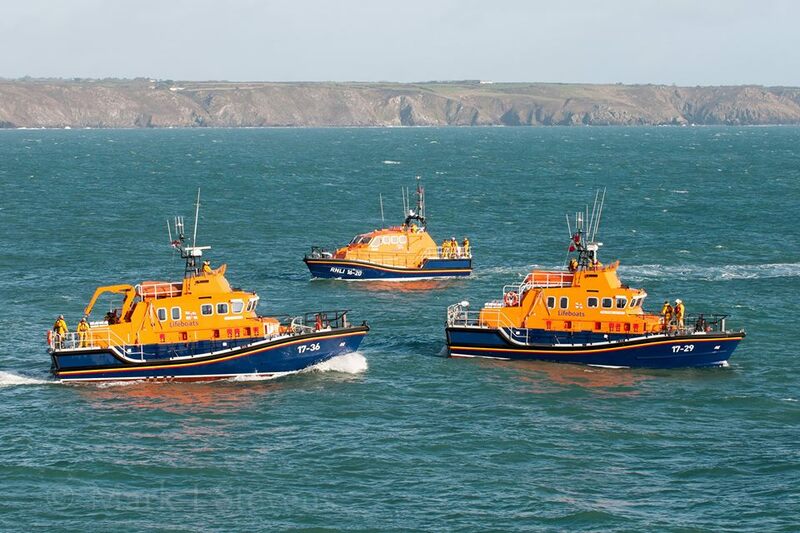 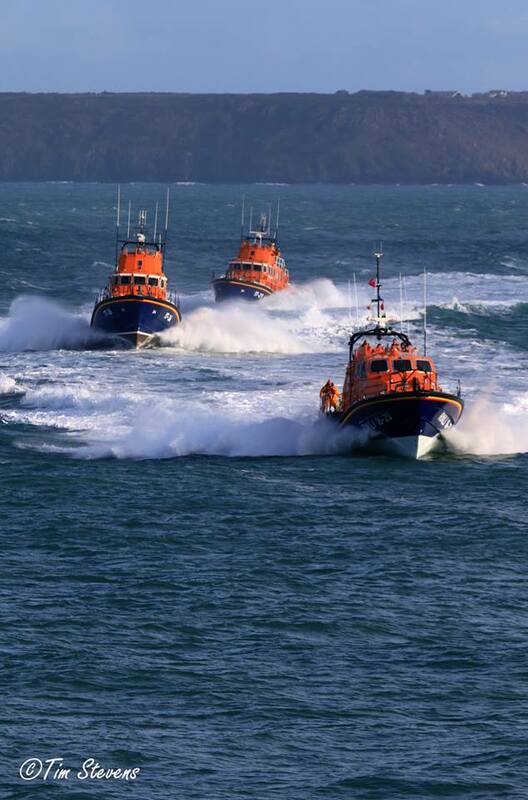 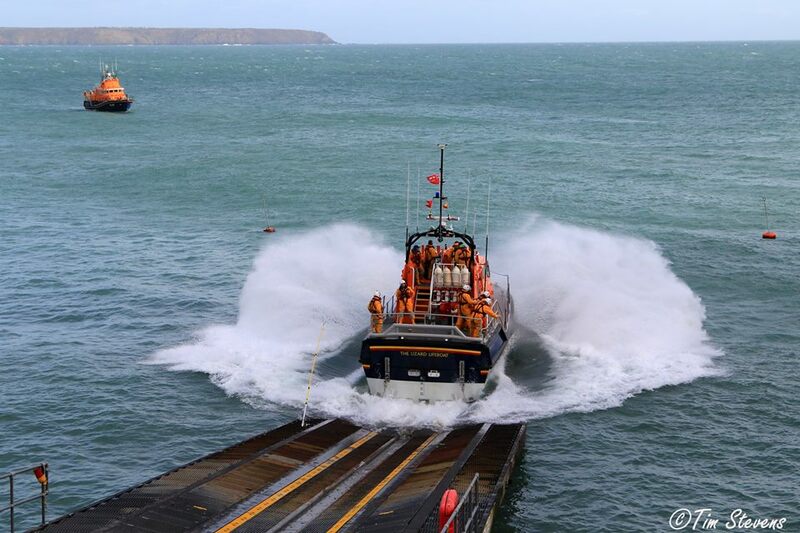 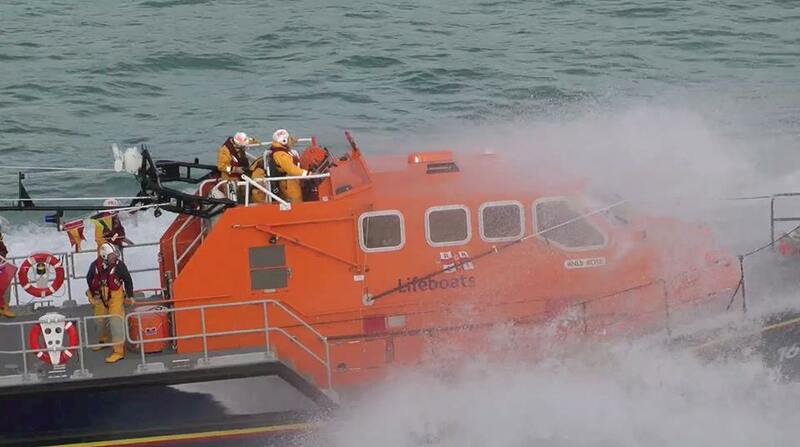 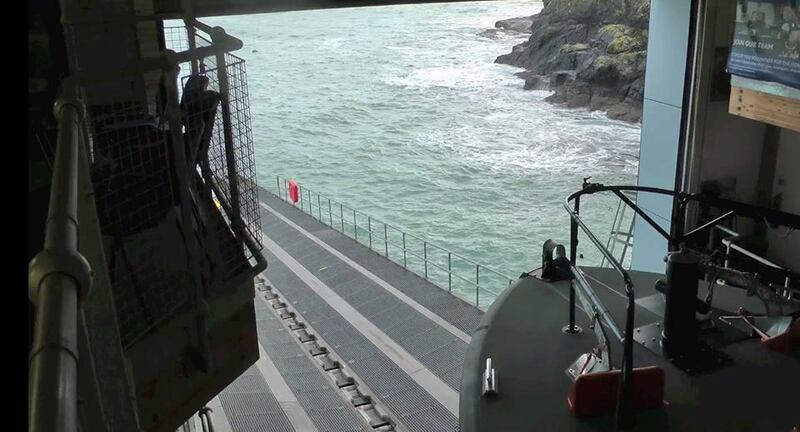 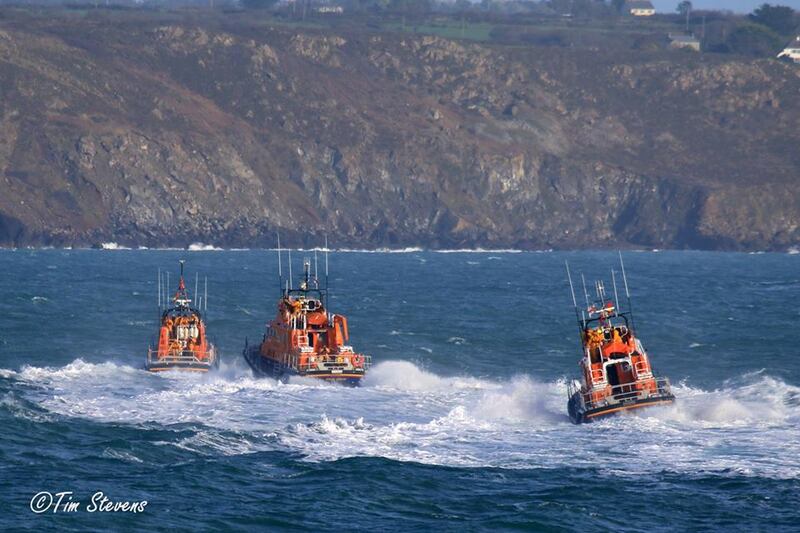 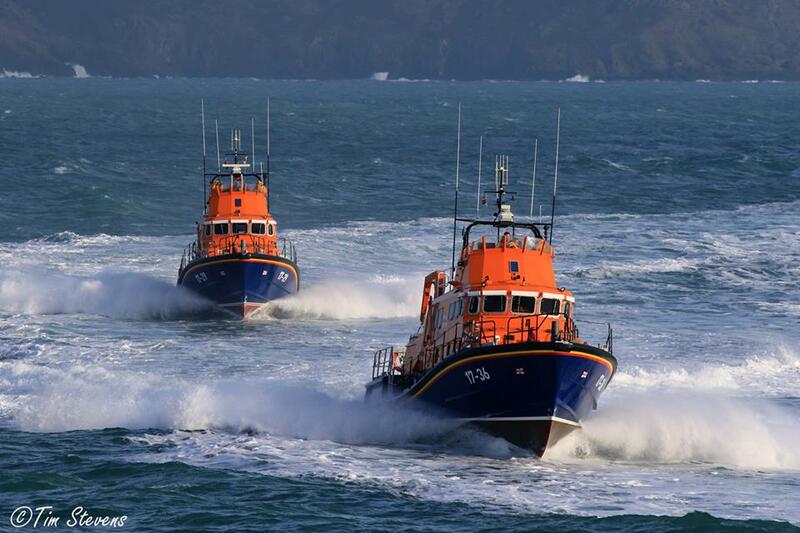 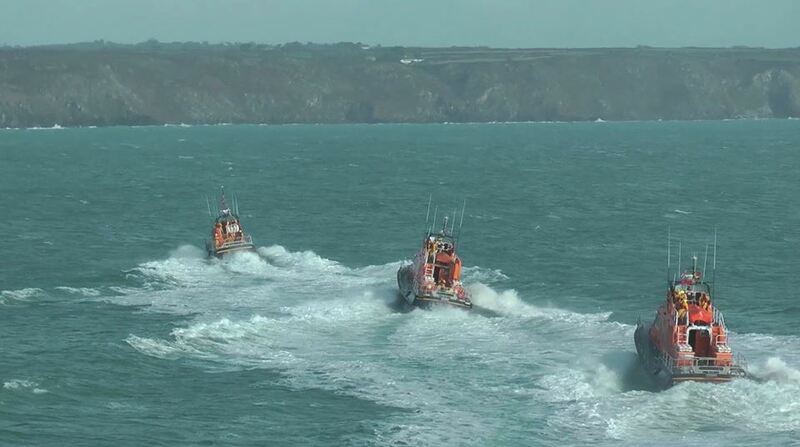 This is the RNLI tribute at the Lizard lifeboat station, Kilcobben Cove, Lizard on 29th December 2015. 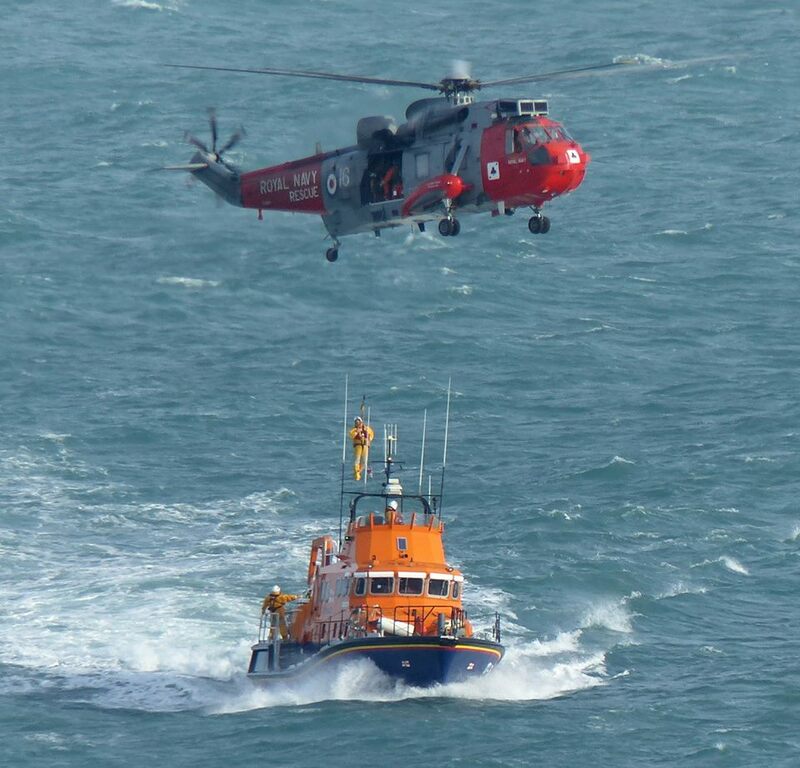 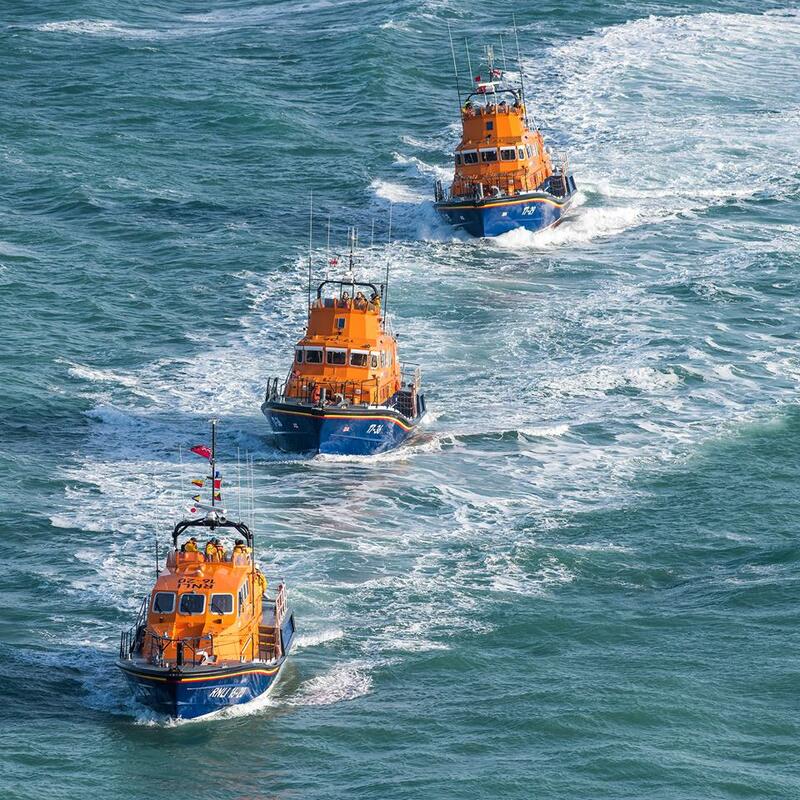 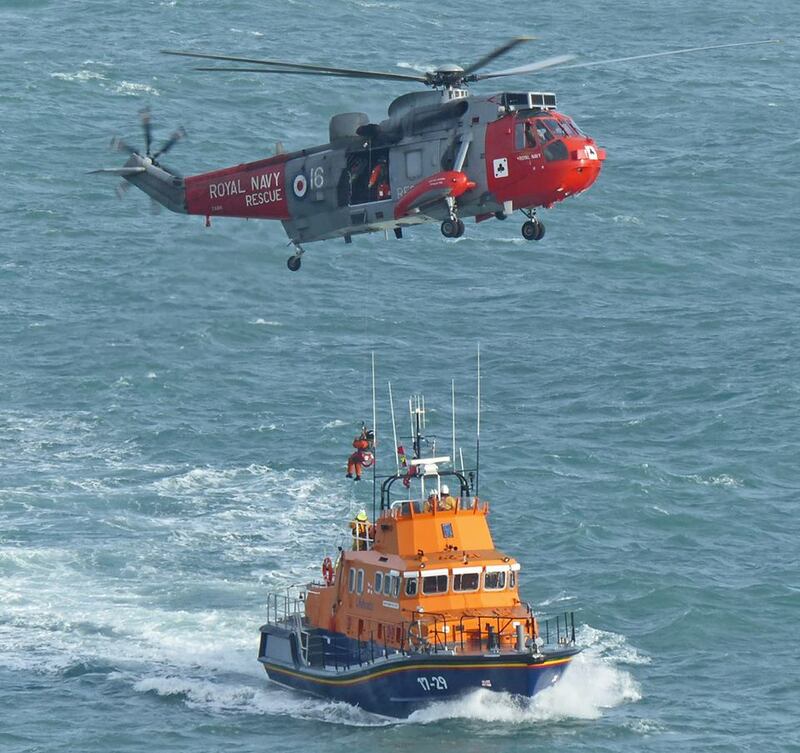 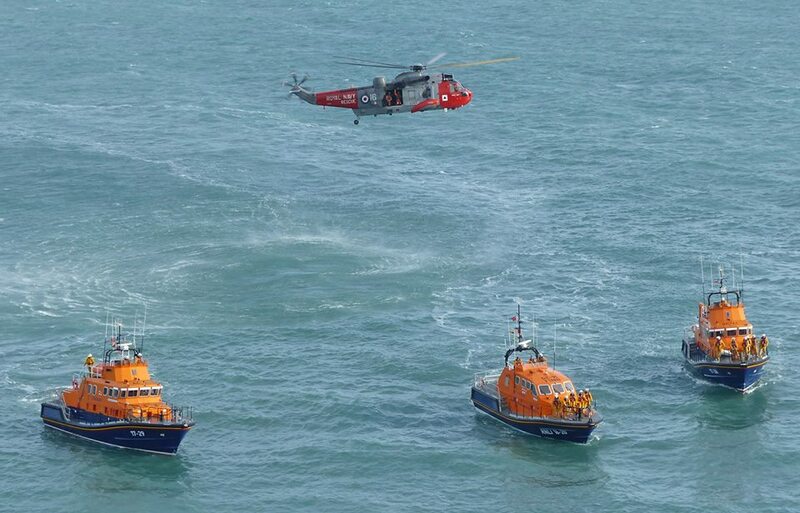 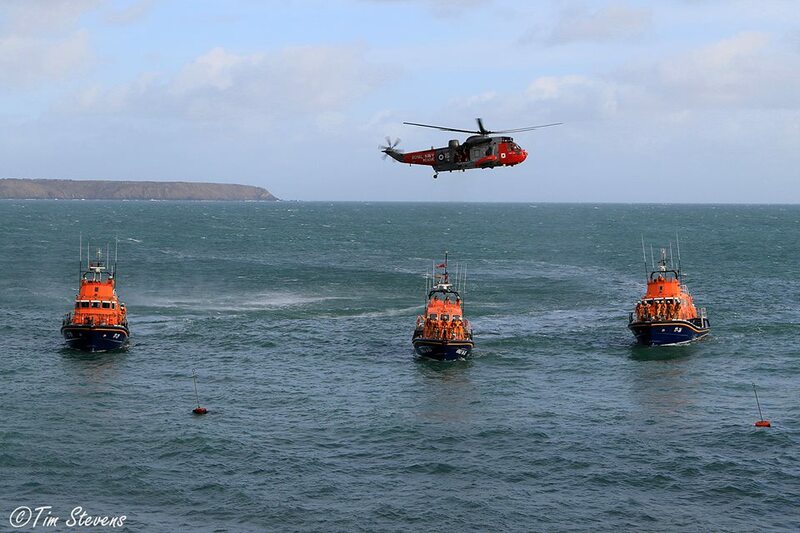 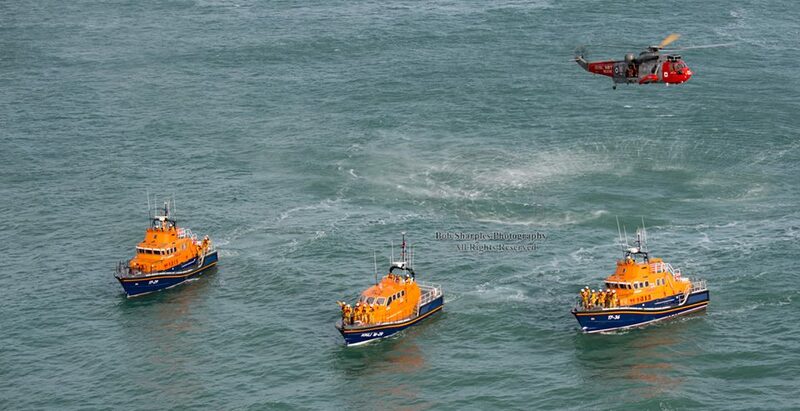 Naval Air Squadron 771 together with the Lizard, Penlee and Falmouth all-weather lifeboats for the very last time to mark the end of a magnificent Search and Rescue helicopter service based at the Royal Naval Air Station Culdrose. 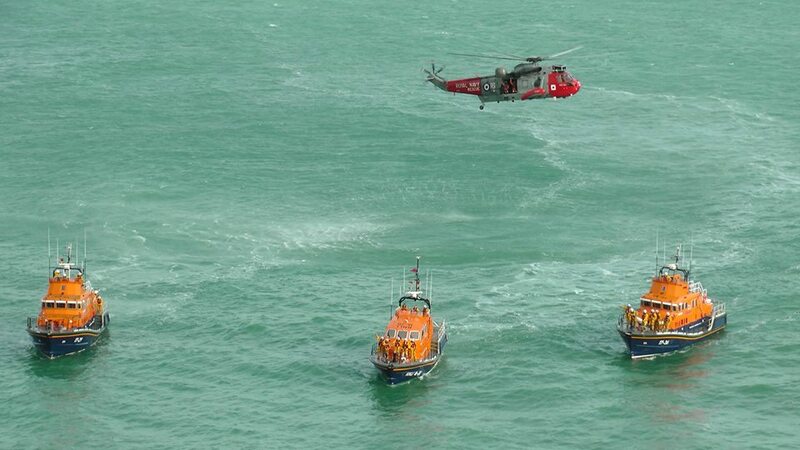 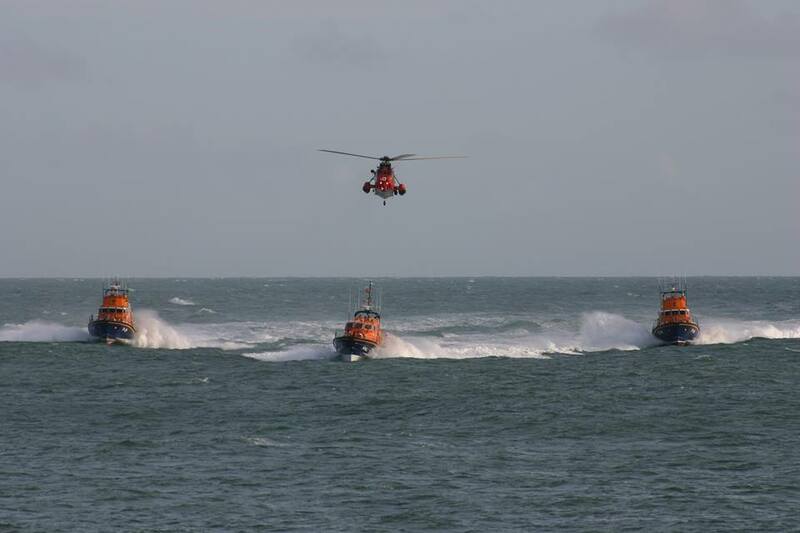 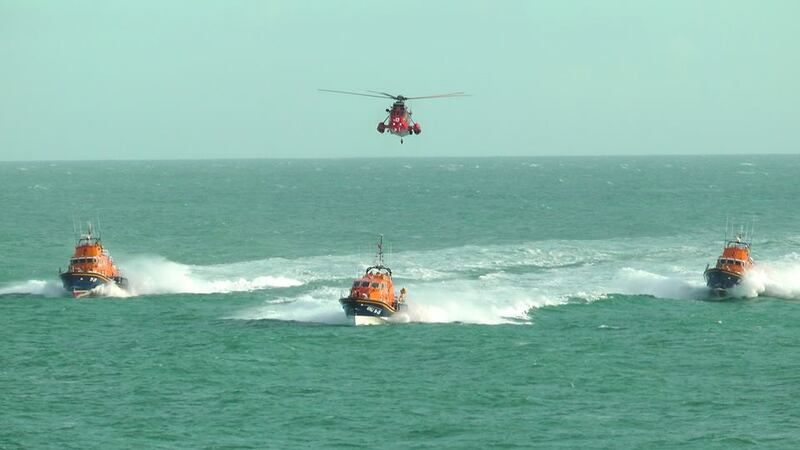 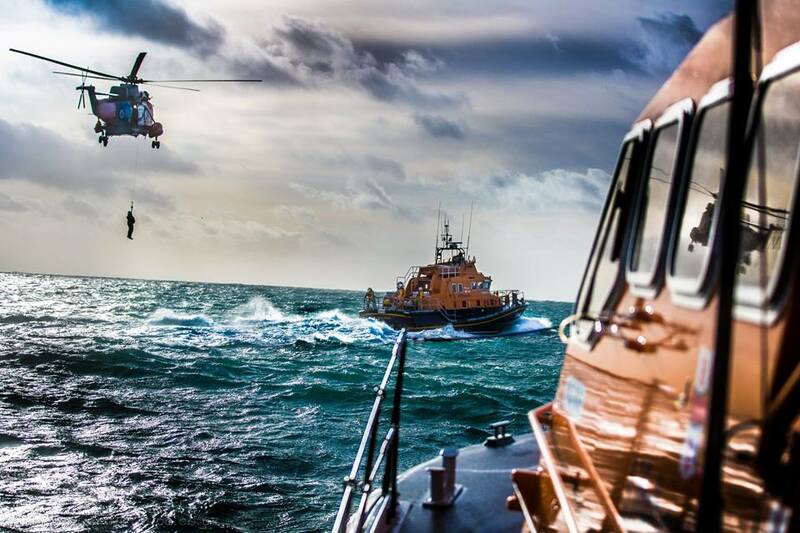 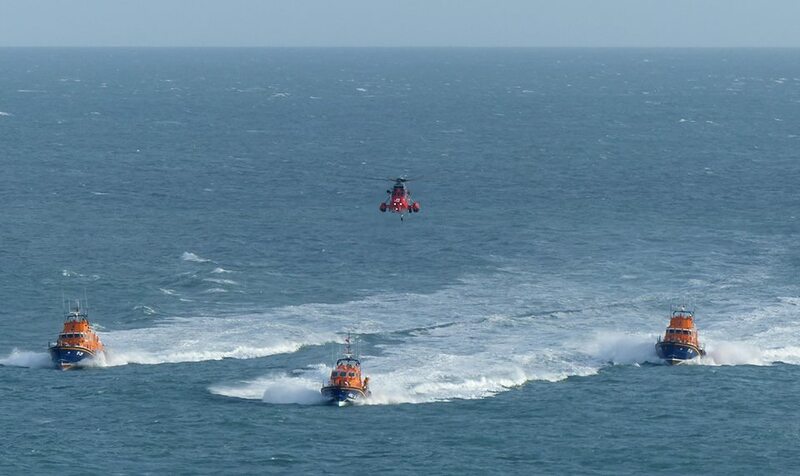 From 1st January 2016 Bristow Helicopters Ltd will perform these duties for the UK on behalf of HM Coastguard, based out of Newquay. 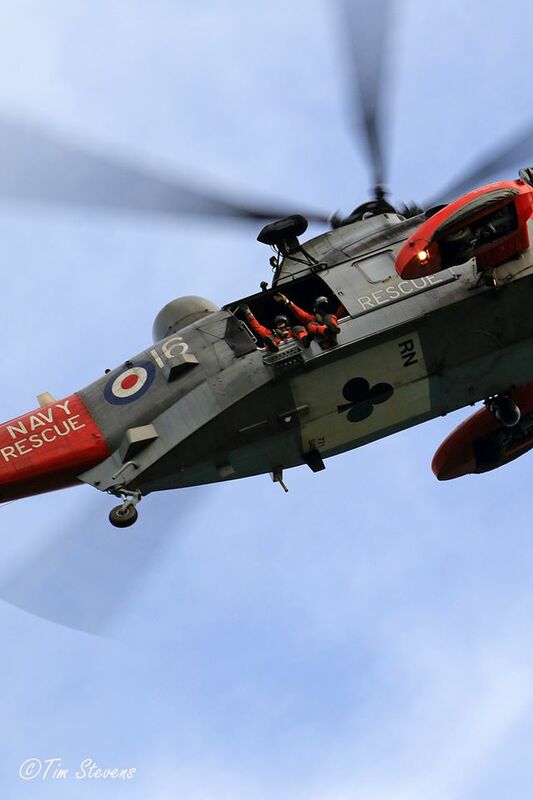 771 Naval Air Squadron of the Fleet Air Arm was formed on 24th May 1939 at Lee-on-Solent as a Fleet Requirements Unit with 14 biplanes. 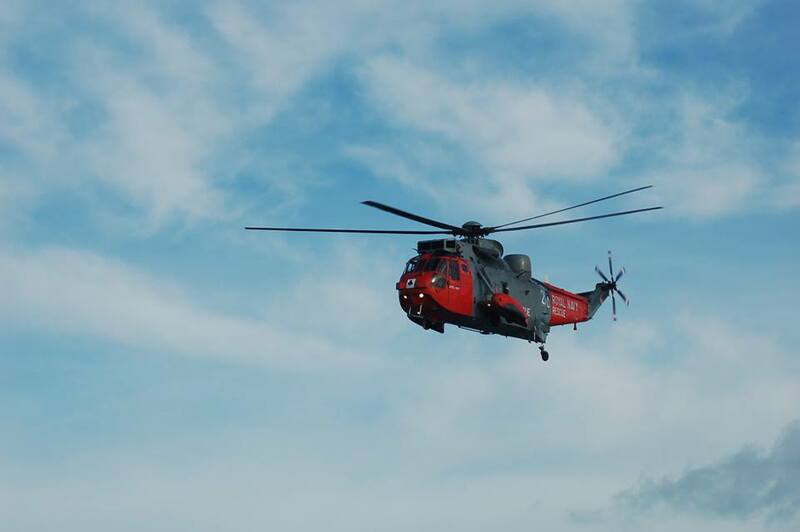 The Squadron carried out various exercises with ships and provided towed targets for naval air gunners. 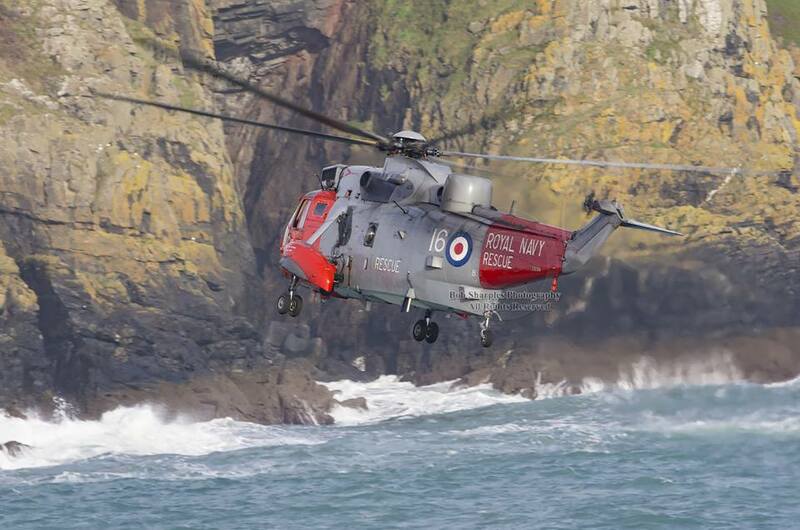 The Squadron split in Sept 1939 to become771 and 772 Naval Air Squadron. 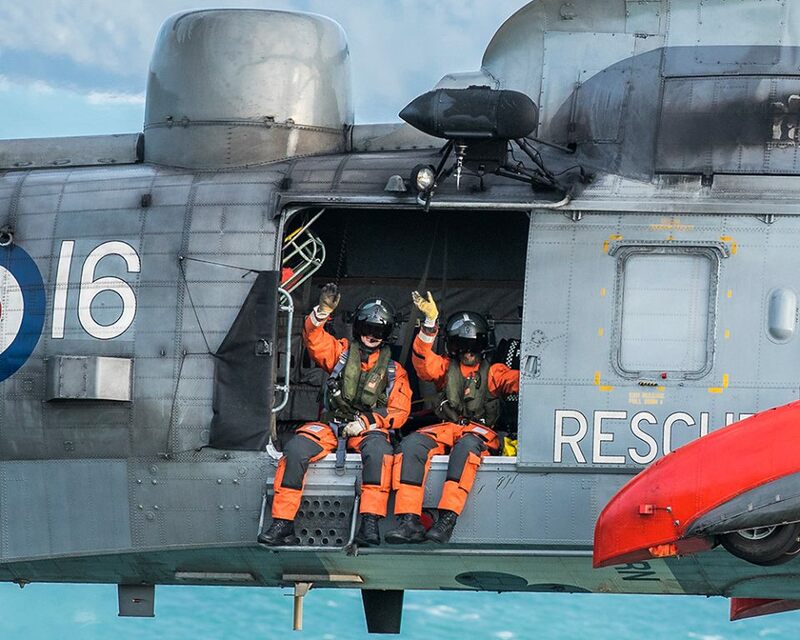 The reshaped 771 NAS was based at RNAS Hatston flying a variety of fixed-wing aircraft from airfields across the UK and abroad. 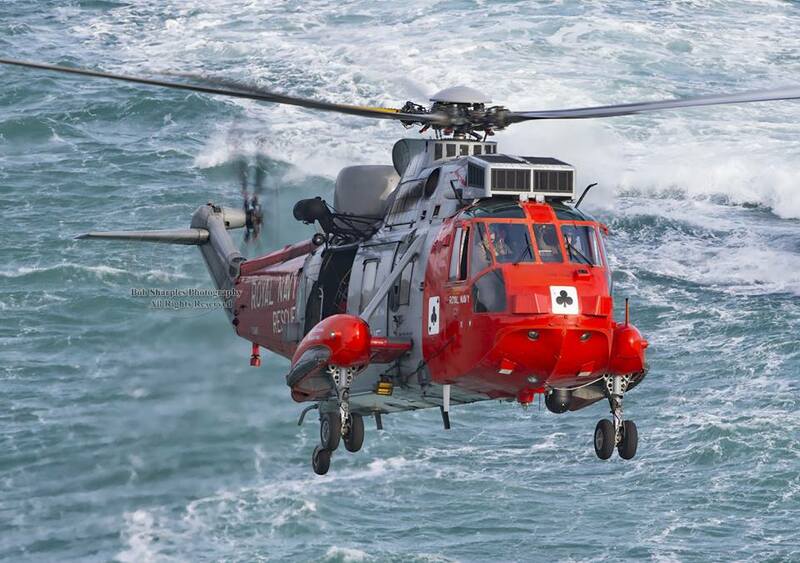 In 1942 771 NAS moved to RNAS Twatt to fly more modern aircraft in a similar role. 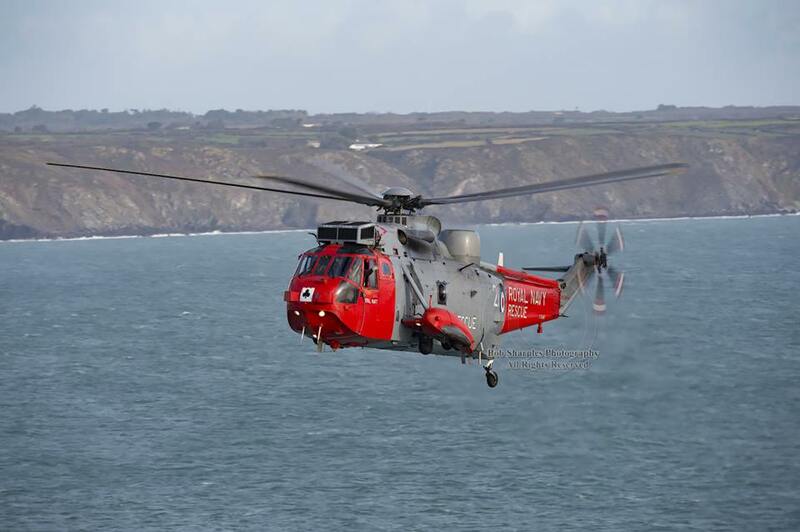 However, 771 NAS reformed in 1961 and assumed the helicopter trials and training roles from 700 NAS with the Westland Whirlwind, Westland Dragonfly, and the Westland Wasp prototype at RNAS Portland. 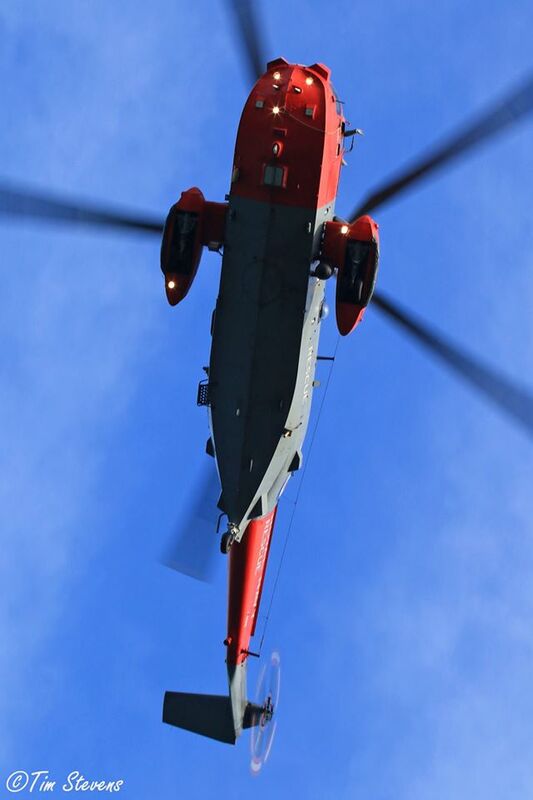 During this time 771 was able to pioneer and develop many Search And Rescue techniques; including helicopter in-flight refuelling, hi-line transfer, free diver drop and cliff winching techniques. 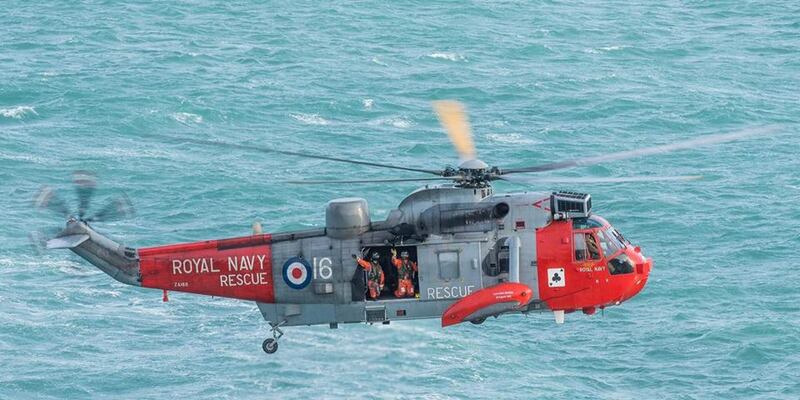 The Squadron was disbanded once more in December 1964, on being absorbed into 829 Naval Air Squadron. 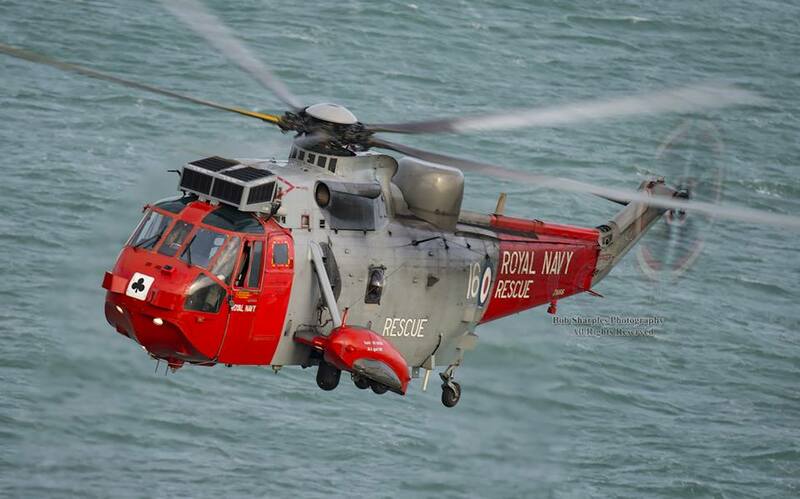 On 23rd June 1967, the squadron reformed with the new primary task of anti-submarine warfare (ASW) Fleet Requirements Unit, in addition to the Search and Rescue duty. 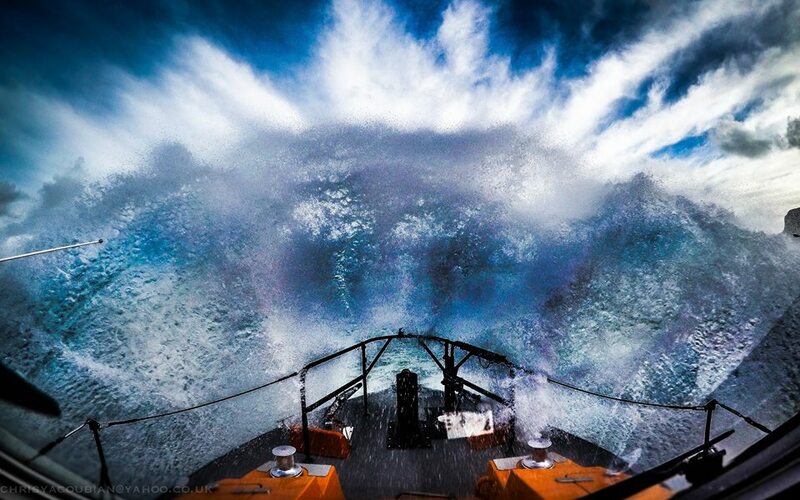 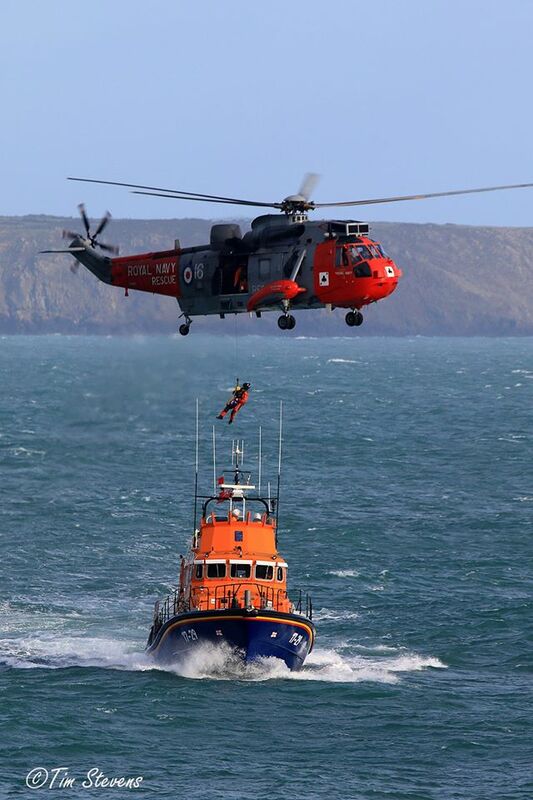 By 1970, the anti-submarine warfare role had been passed on to 737 Naval Air Squadron, making Search and Rescue 771's primary role, a role that has remained to the present day. 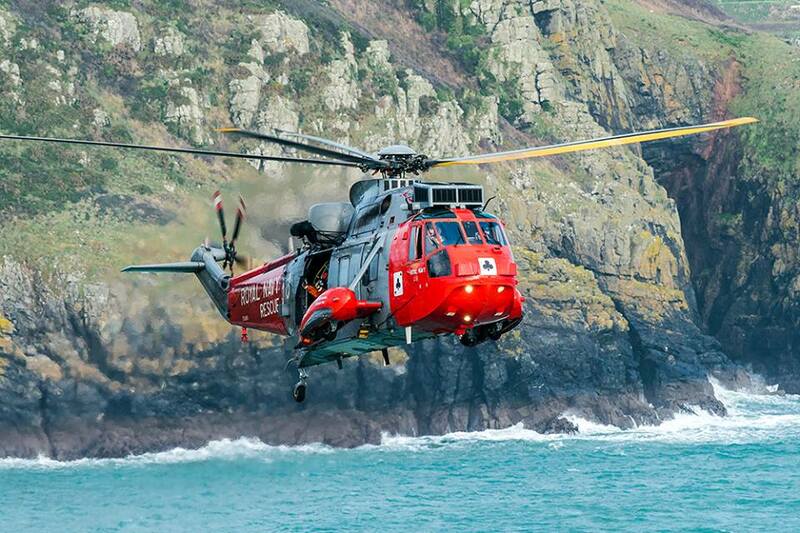 The Squadron moved to RNAS Culdrose in September 1974. 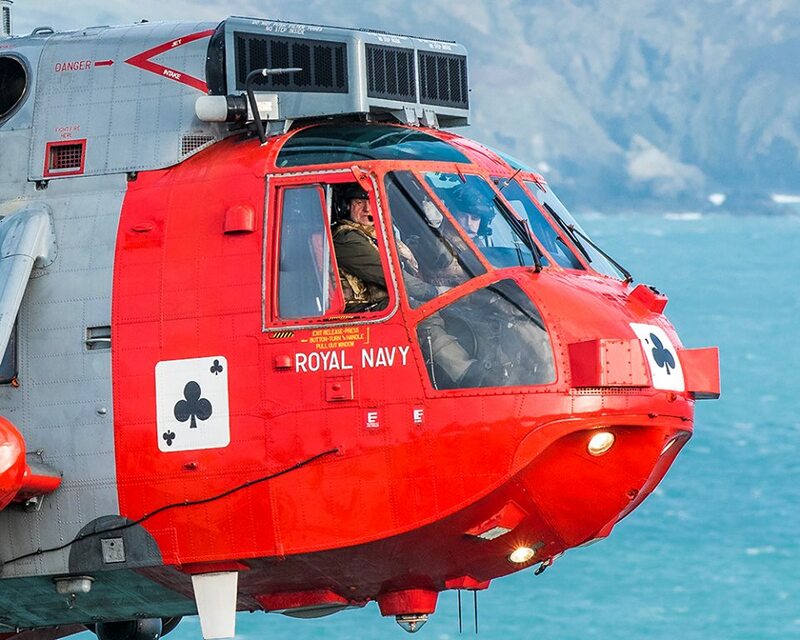 During the Falklands Conflict all of 771 aircraft were taken for troop transport roles, some went to 722 Naval Air Squadron, but the majority reformed 847 Naval Air Squadron and 848 Naval Air Squadron along with some of 771 NASs aircrew. 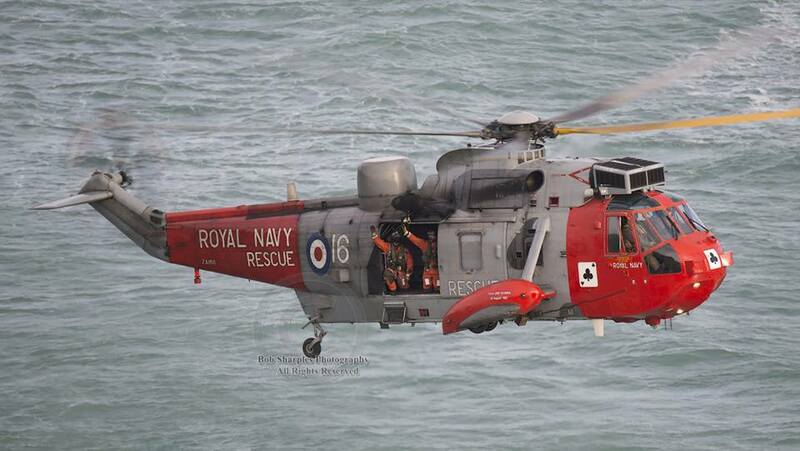 The remaining crew went either to their old aircraft type, or to new roles in the Lynx or Wasp fleets. 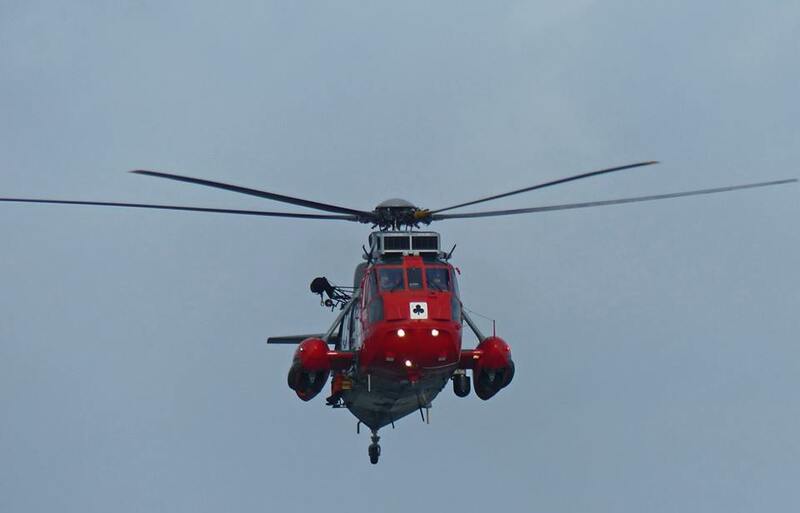 Two Wessex Mk.5 were used in August 1982 to form the backbone of 771 NAS as it took the Search and Rescue commitment back from the RAF. 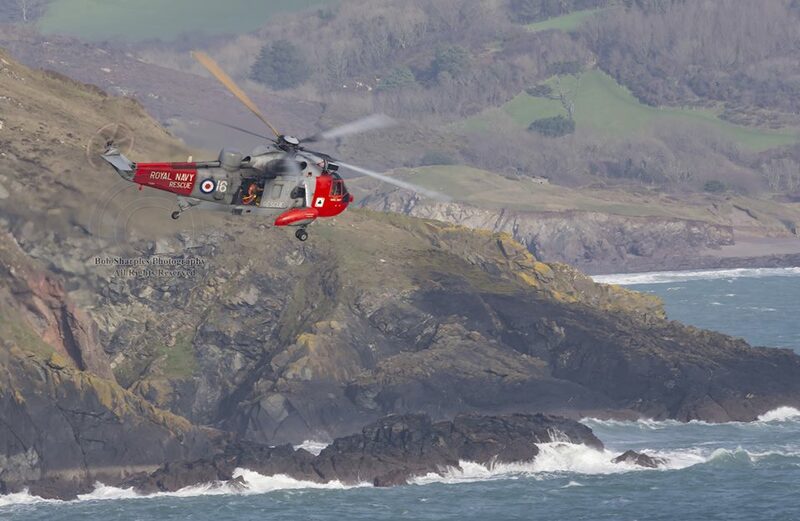 In 1985 the Squadron absorbed 707 Naval Air Squadron's Wessex helicopters when 771 NAS took over Commando Helicopter Training. 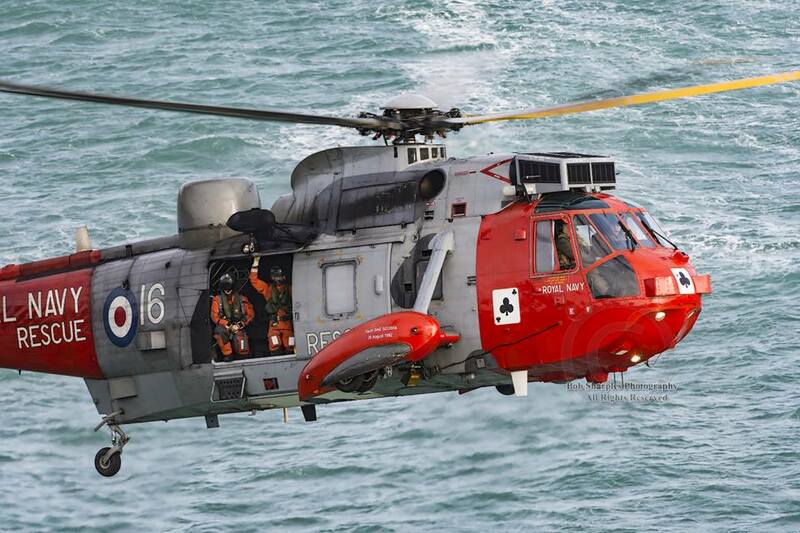 The Wessex were replaced by Westland Sea King in October 1987 as the Squadron assumed a long range, day/night and all weather Search And Rescue capability. 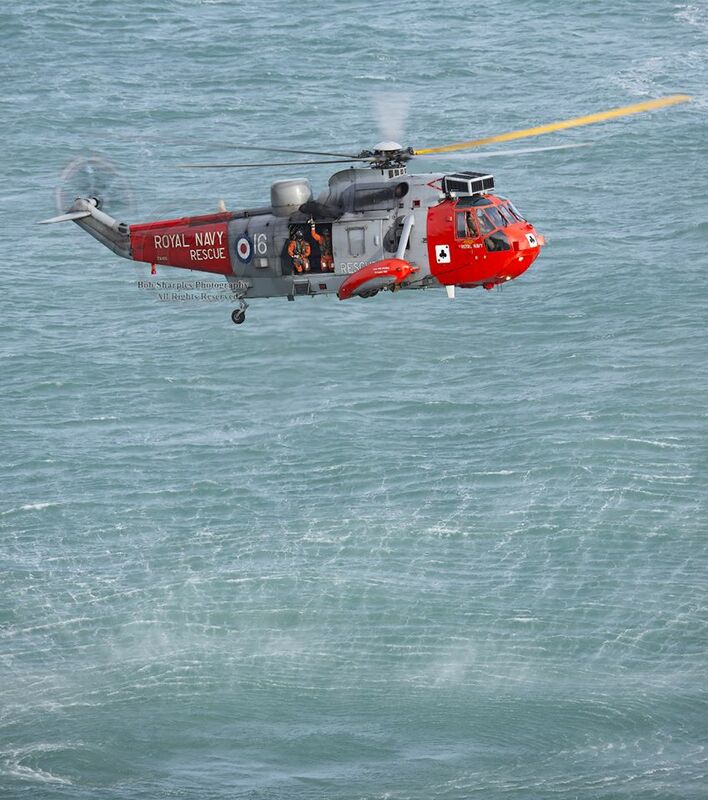 In July 2001, 771 Squadron assumed the responsibility for Advanced and Operational Flying Training for anti-submarine warfare (ASW) pilots and Observers, as well as the residual Sea King Pilot Conversion and Refresher Courses. 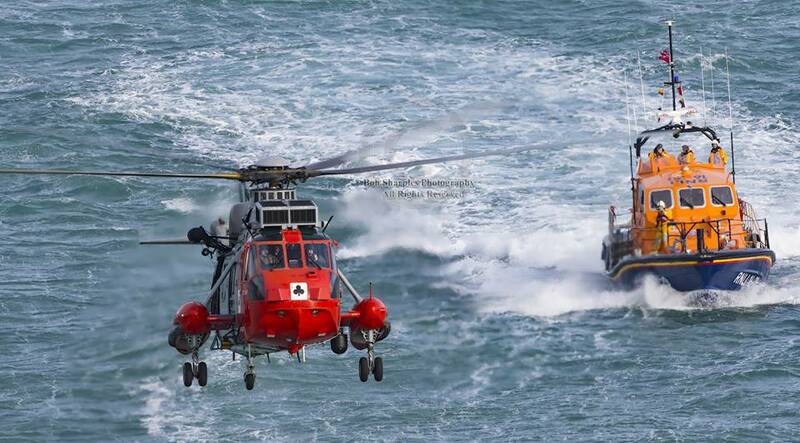 The Squadron operates the Sea King in the grey and red colours, stationed at RNAS Culdrose. 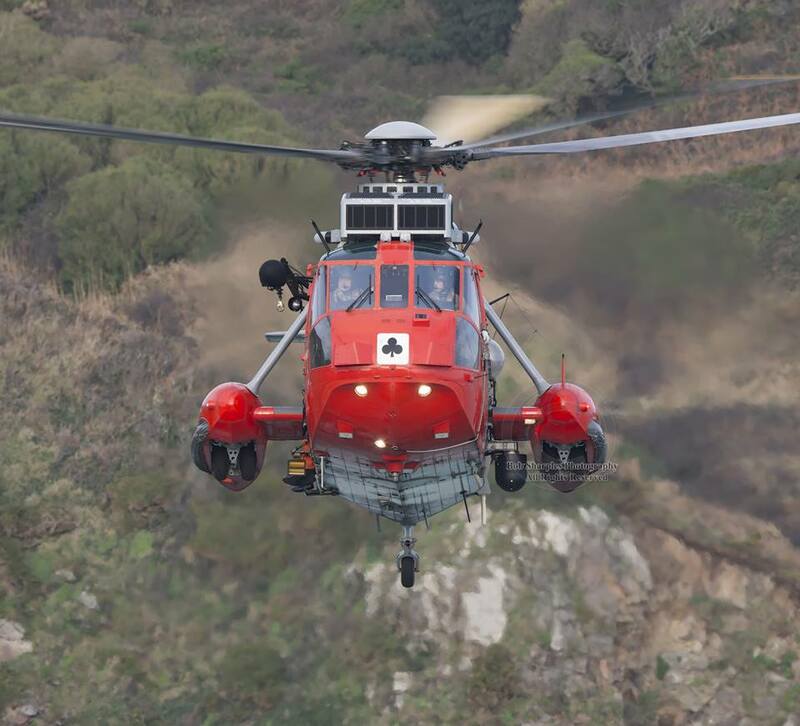 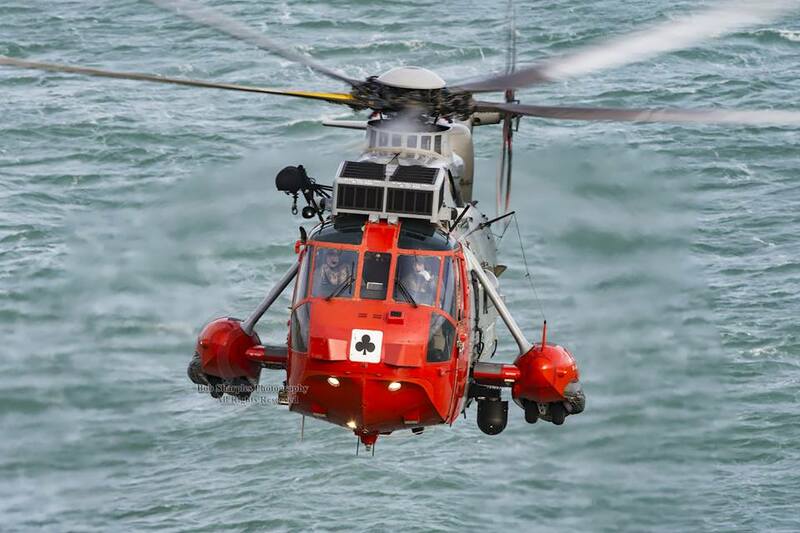 771's primary role is one of military Search and Rescue, with secondary roles in Pilot and Observer refresher training, utility and liaison and Pilot Conversion and operational training and of course civilian Search and Rescue (until 01-01-2016). 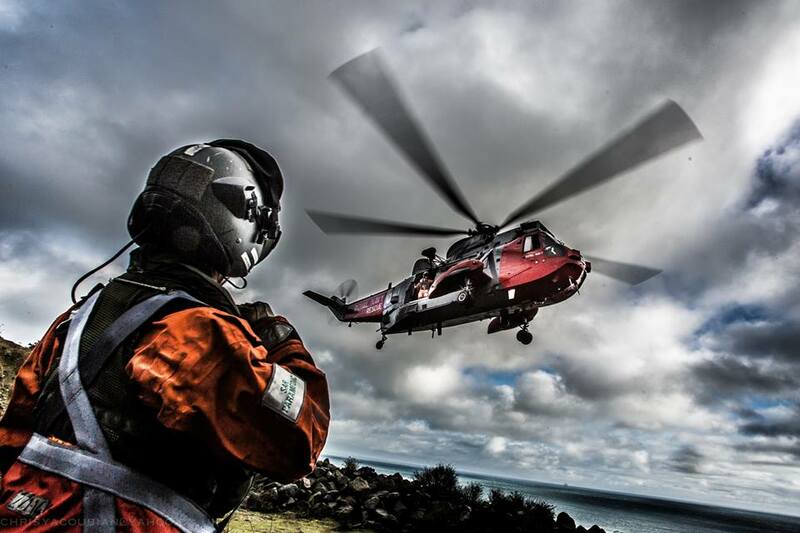 To perform these roles, one of the helicopters is on 15 minutes notice to fly during the day, and 45 minutes during the night, with a duty crew on call for 24 hours. 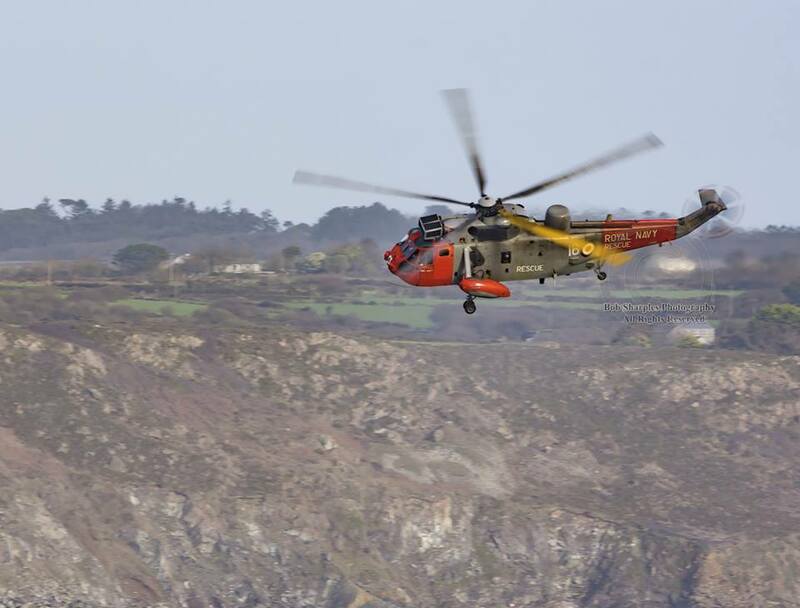 This duty is maintained for 365 days of the year, with a second standby aircraft ready to assist should the emergency demand it. 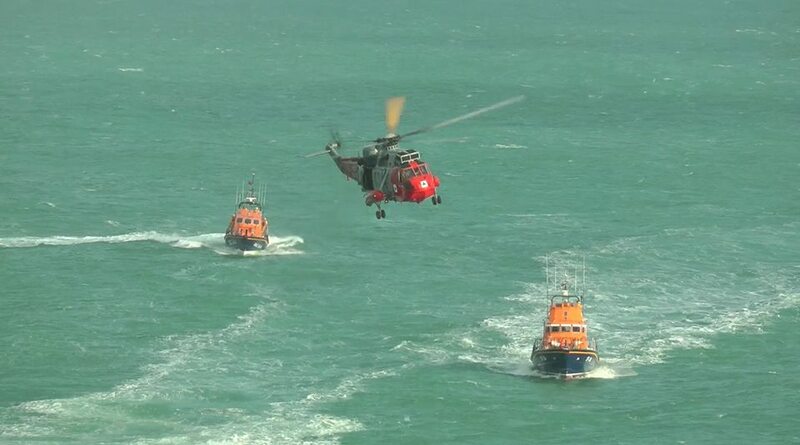 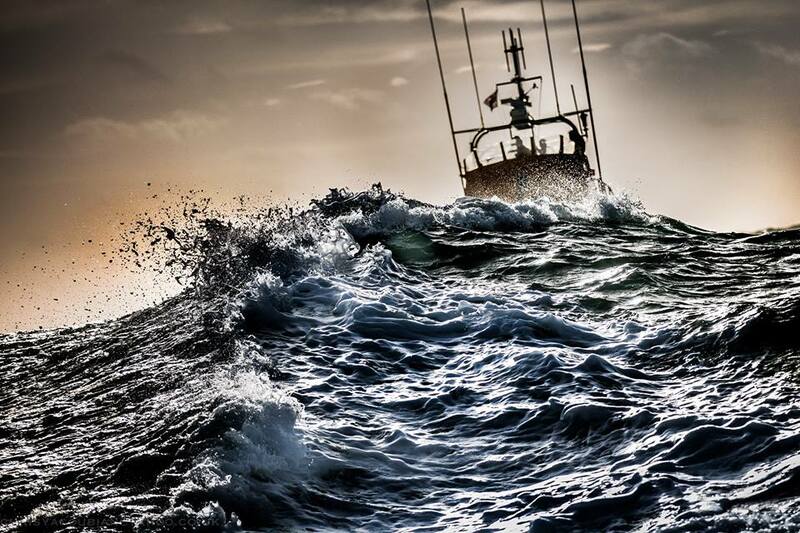 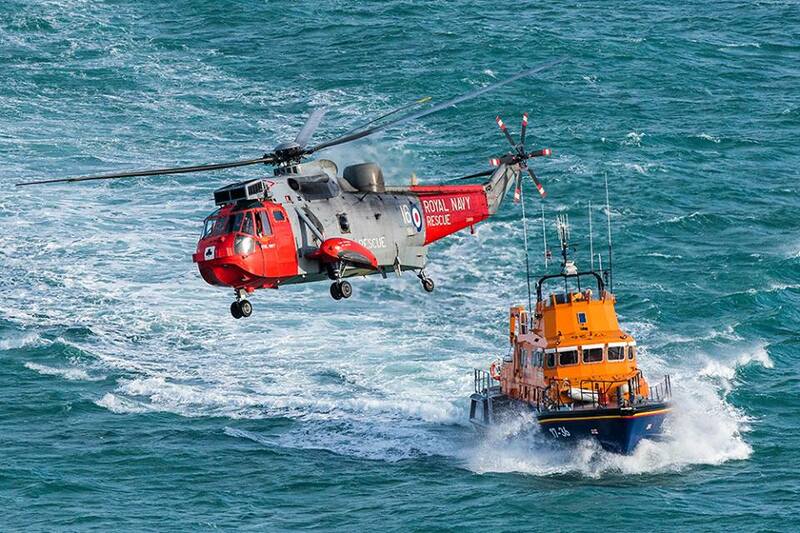 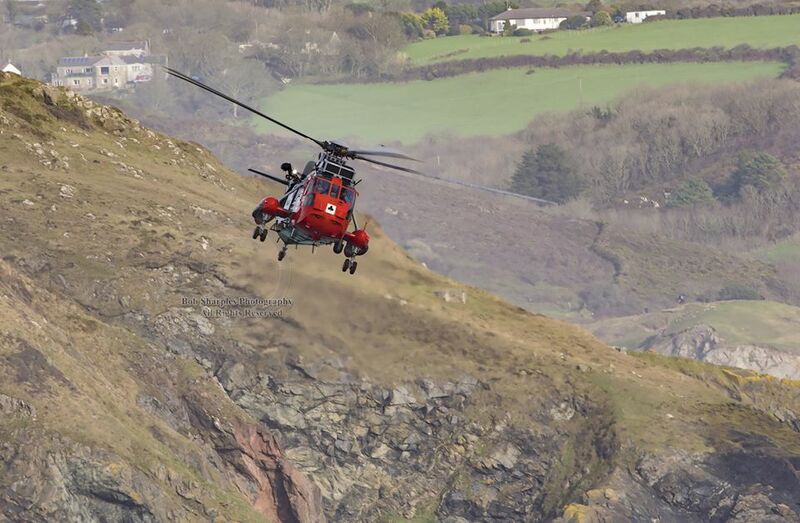 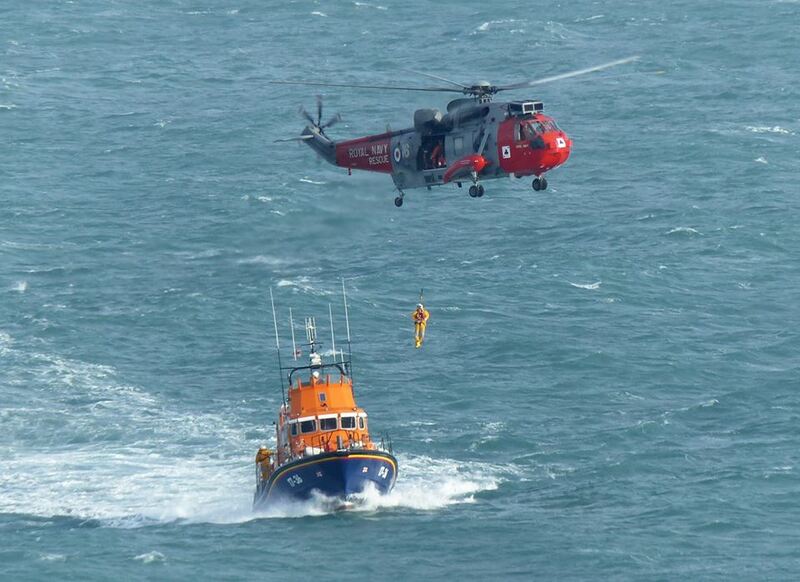 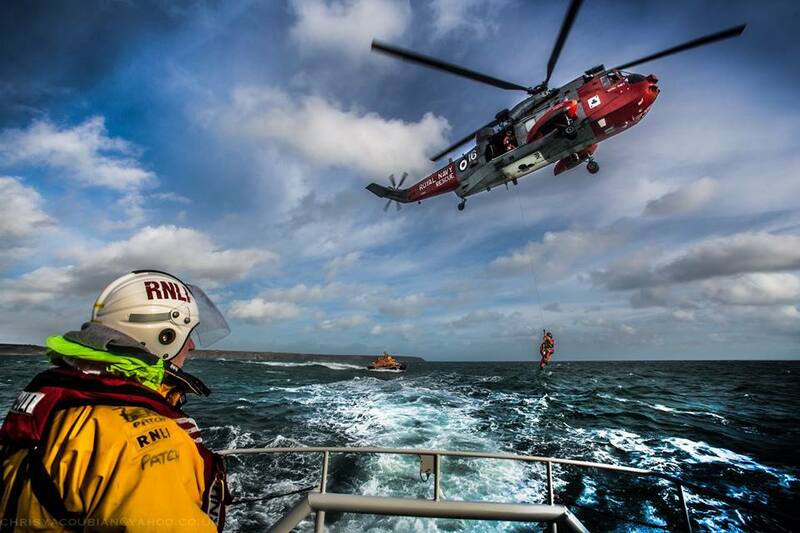 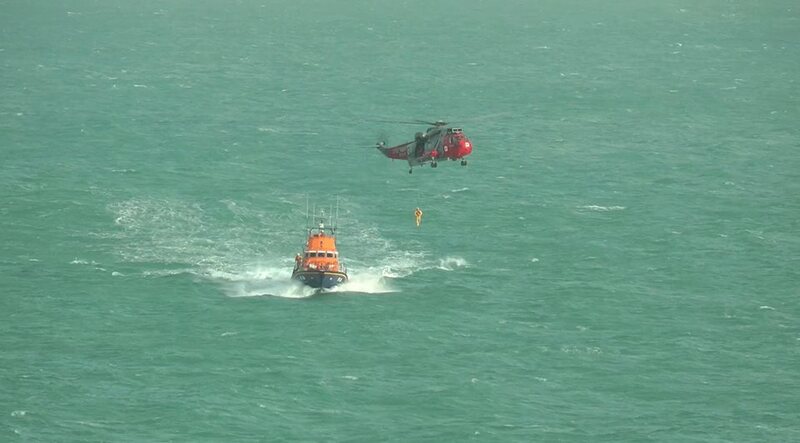 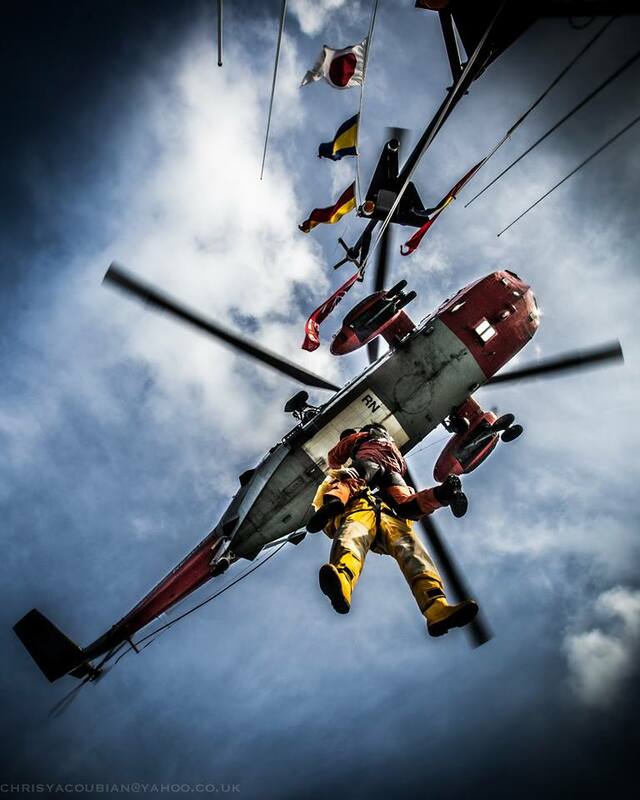 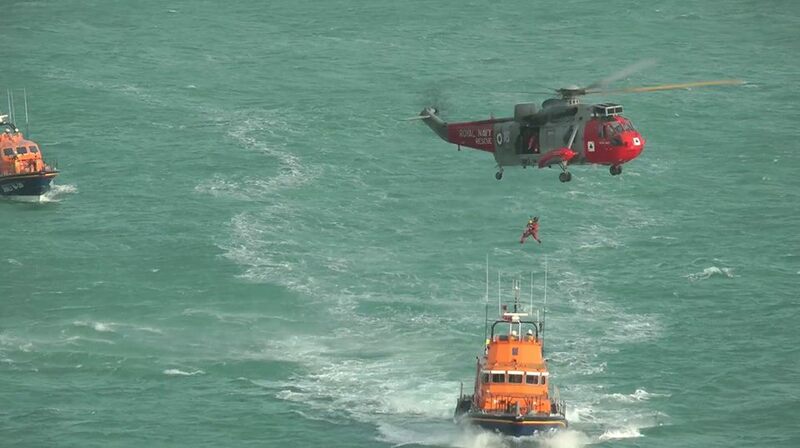 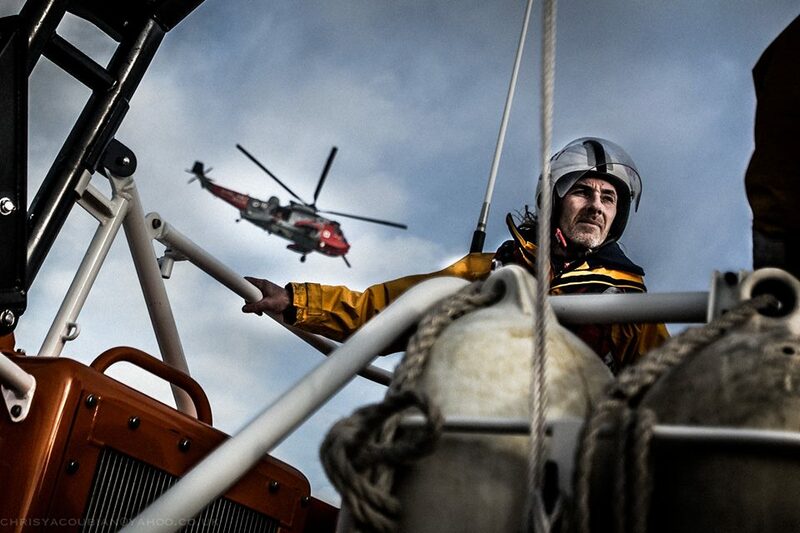 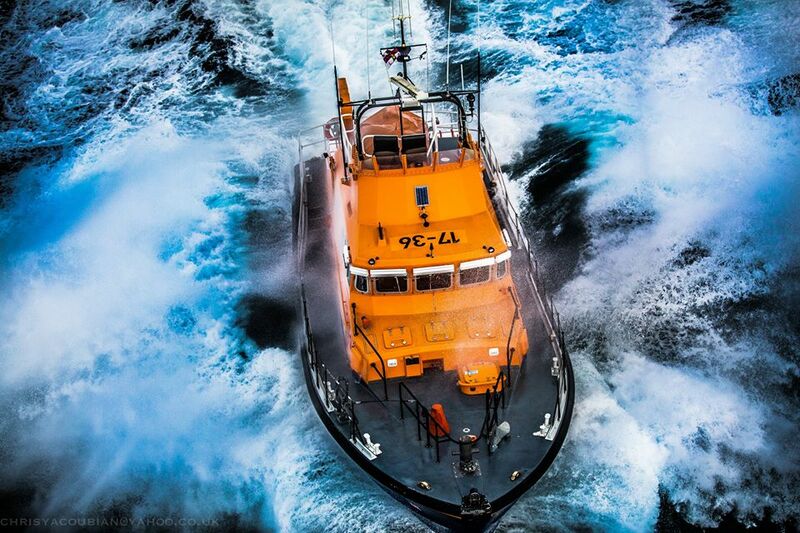 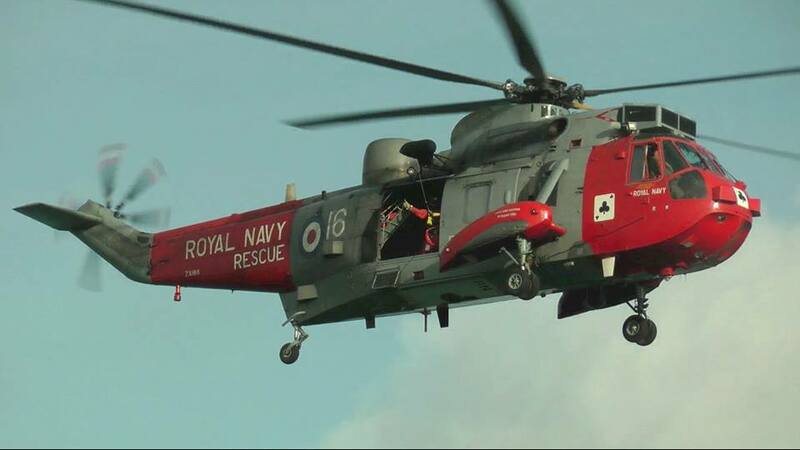 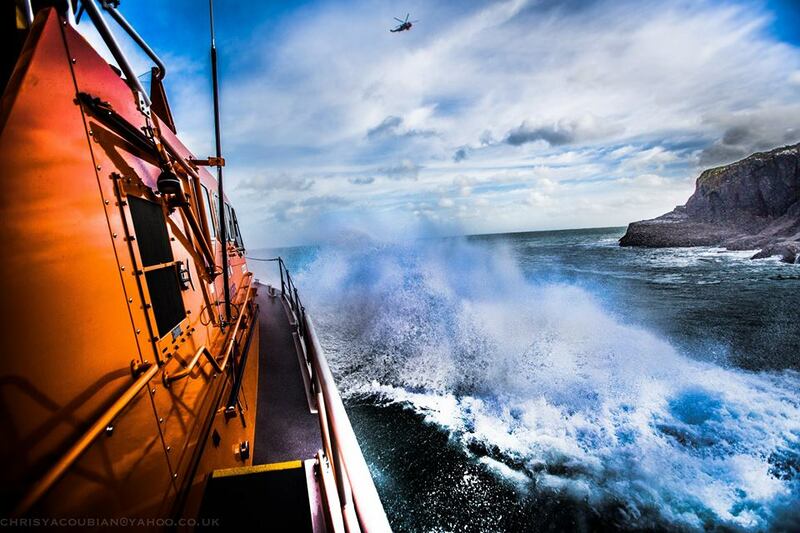 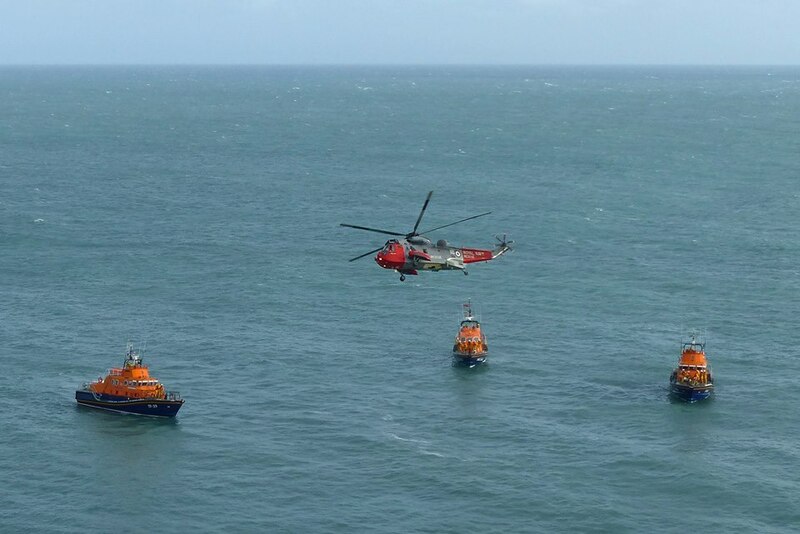 771 NAS was one of the busiest SAR units in the UK being called out an average of 220 times per year. 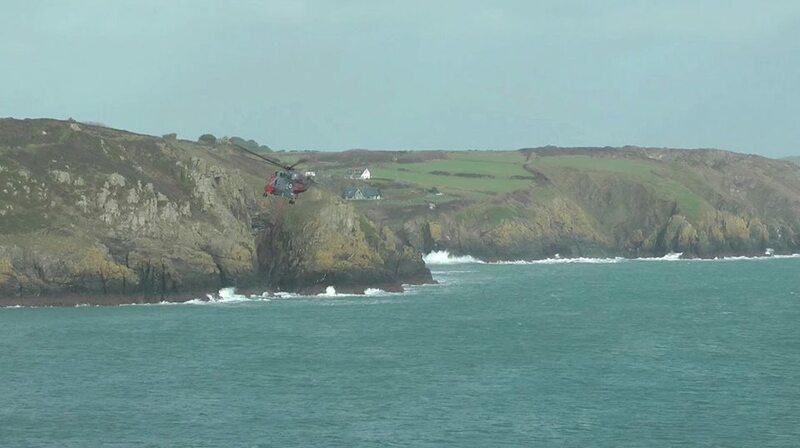 With the limitations in civilian flight rules for the Cornwall Air Ambulance pilots, 771 were often called upon to perform patient and hospital transfers throughout the West Country. 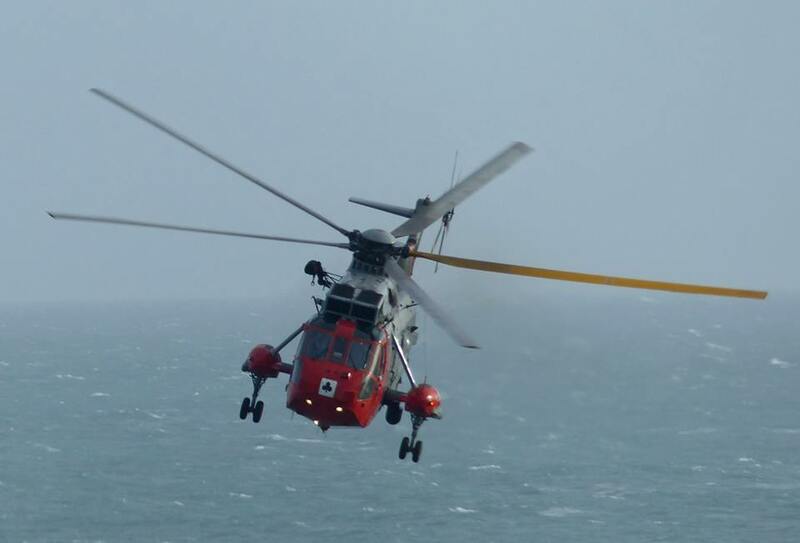 These were typically when the Air Ambulance is engaged in other duties, in poor weather, at night or where no suitable landing place is close by, allowing the Sea King to utilise its winch capability.